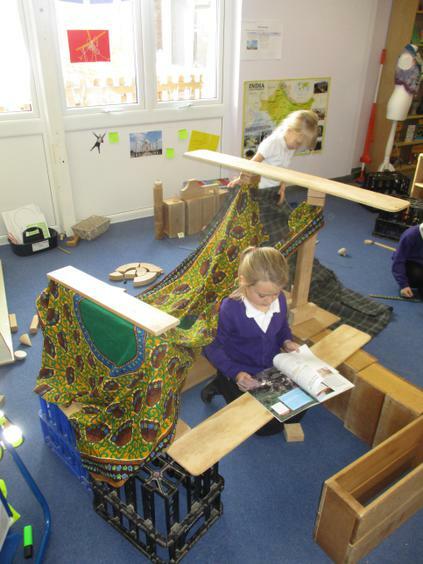 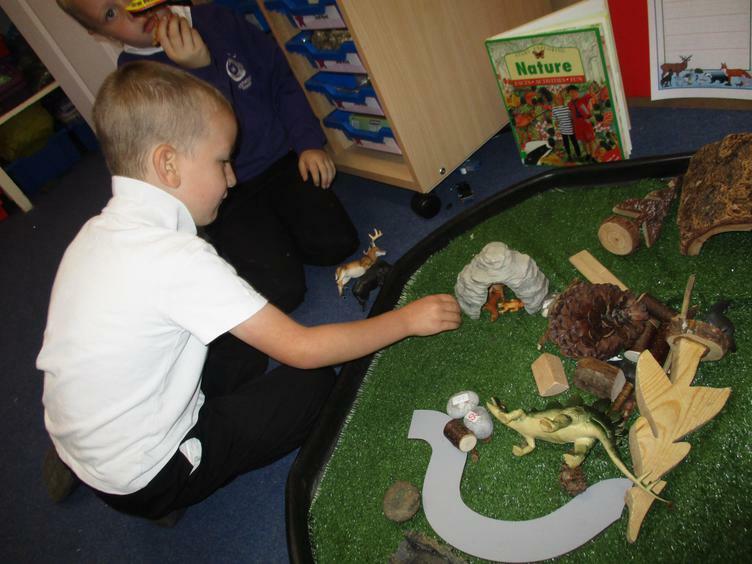 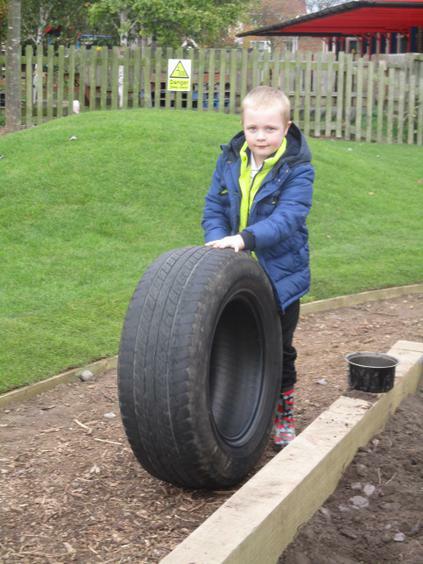 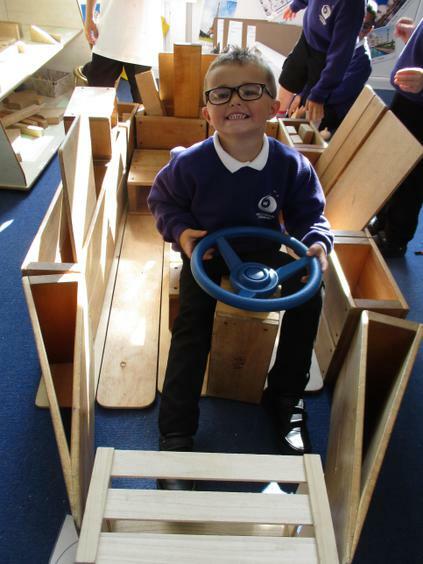 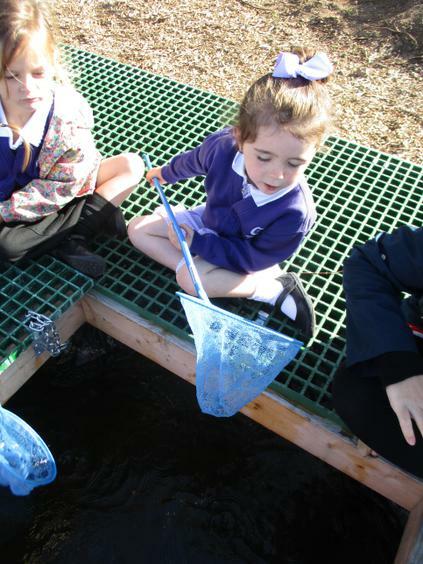 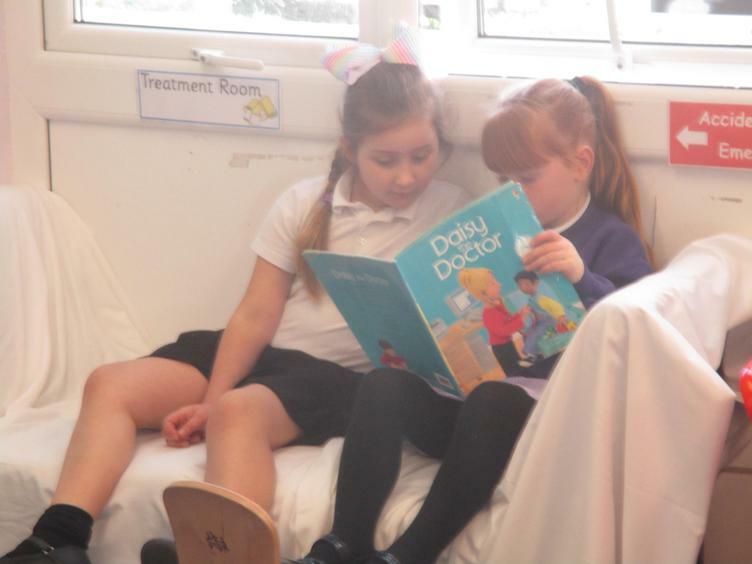 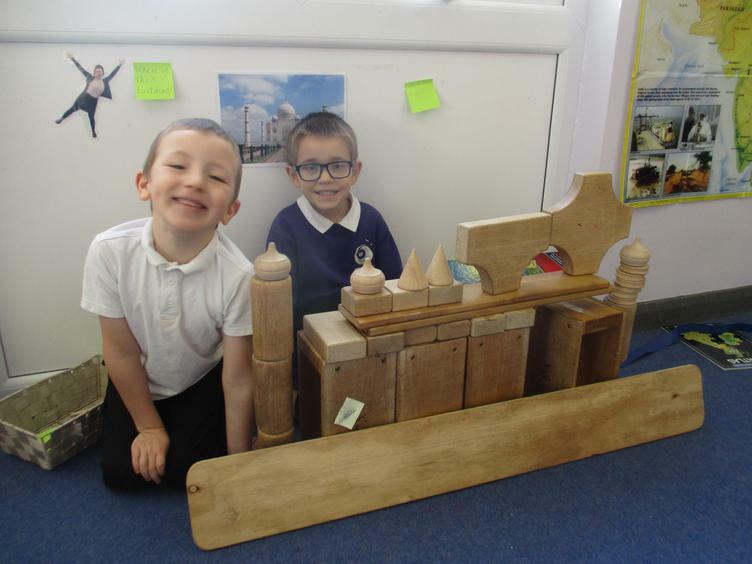 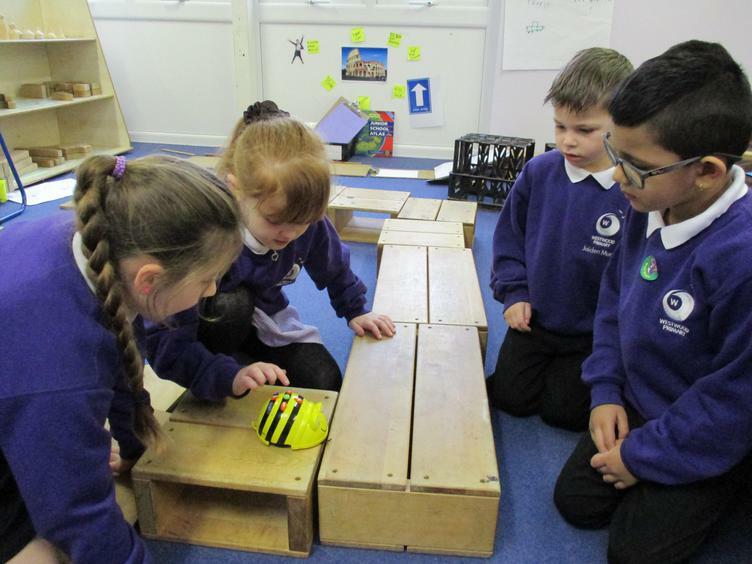 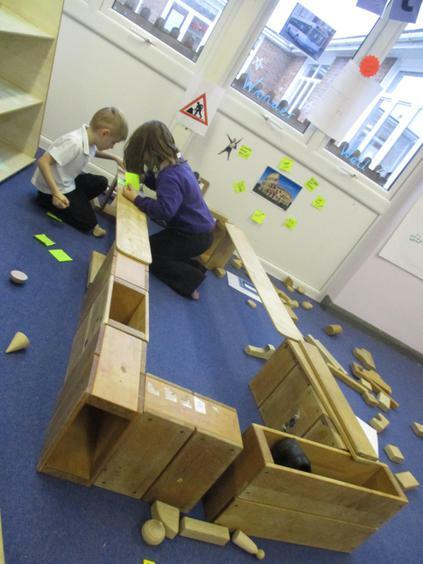 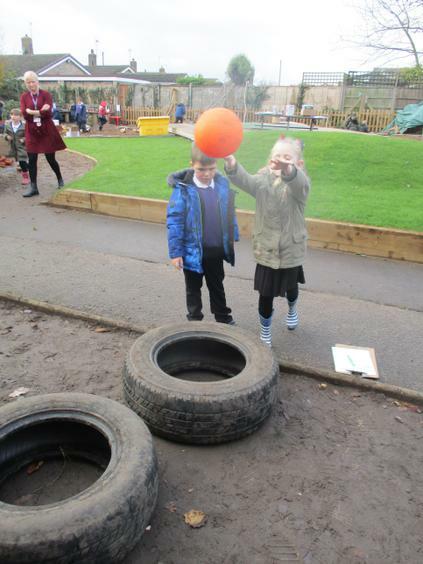 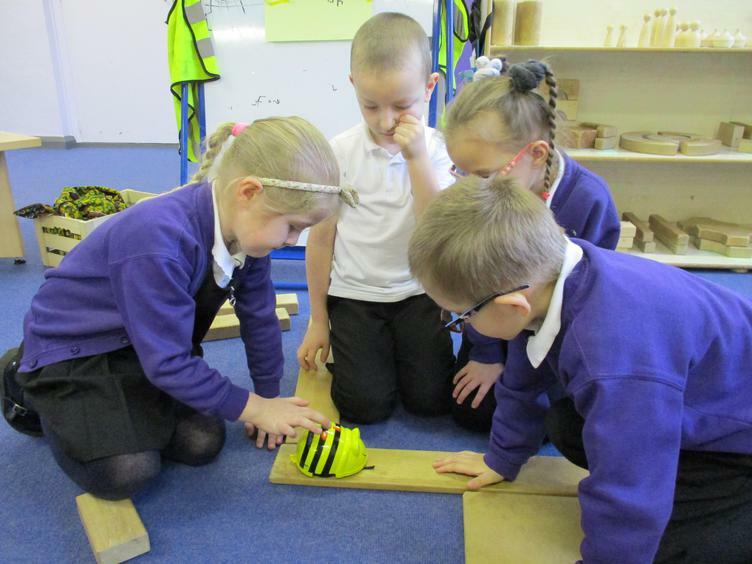 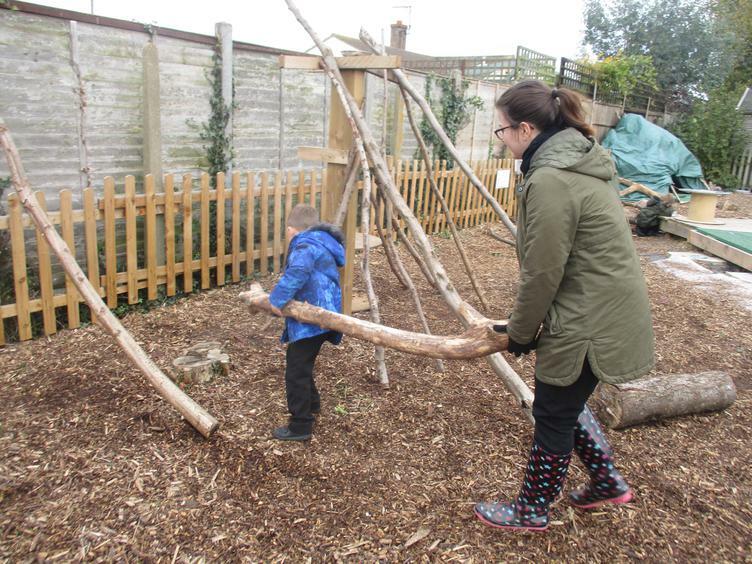 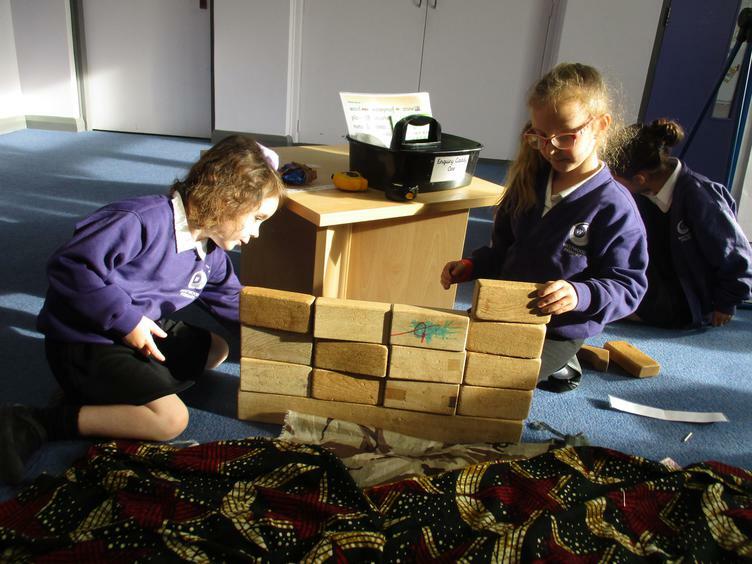 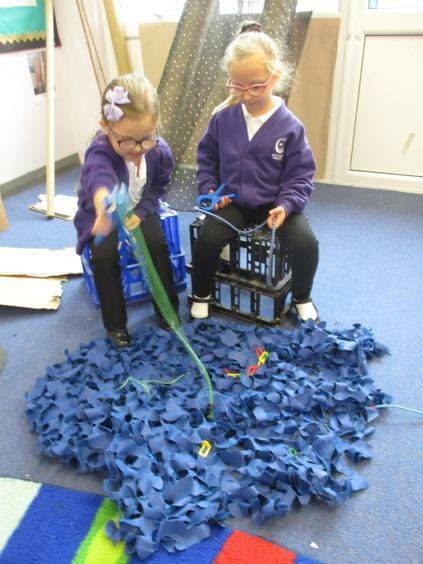 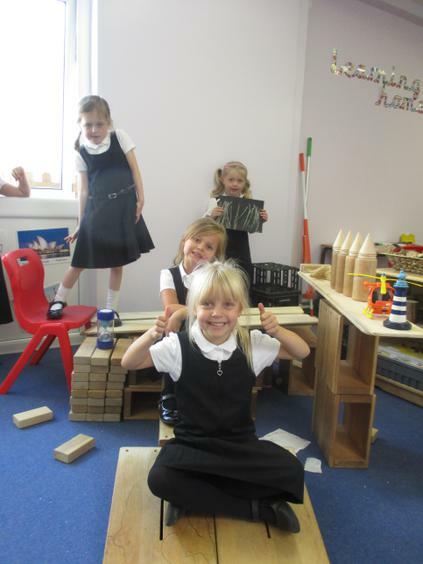 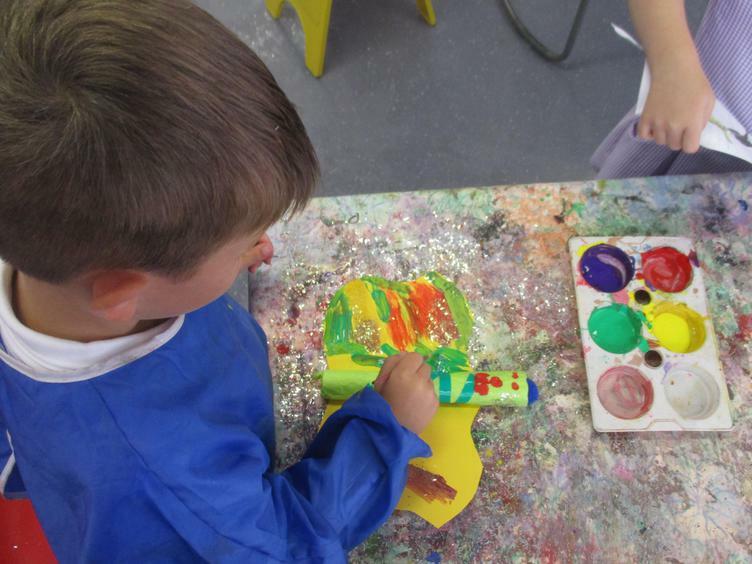 In Year 1 the children learn through play which is underpinned by their own interests in a stimulating and exciting environment. 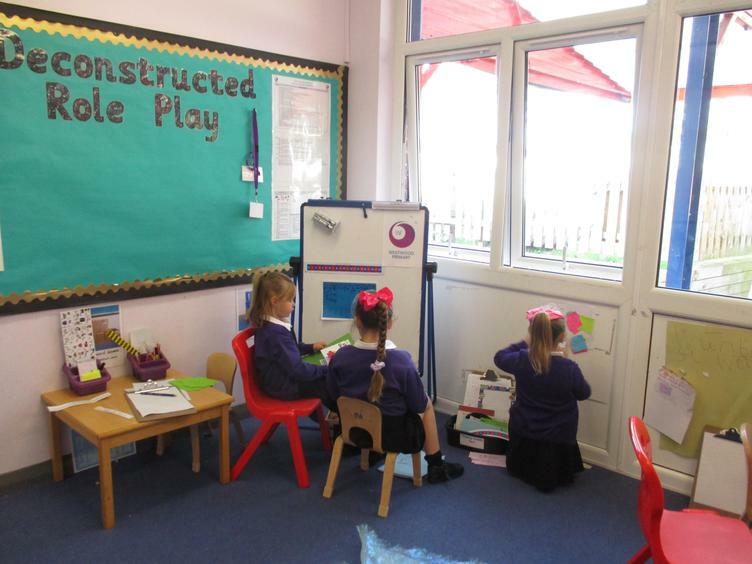 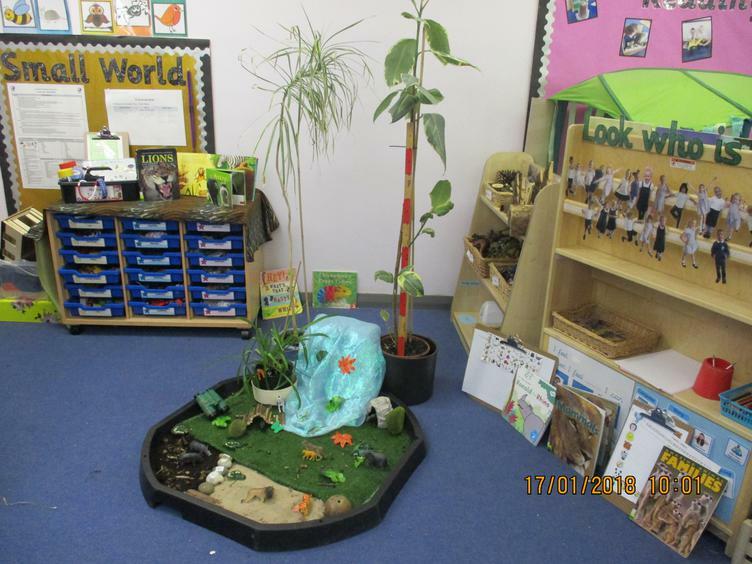 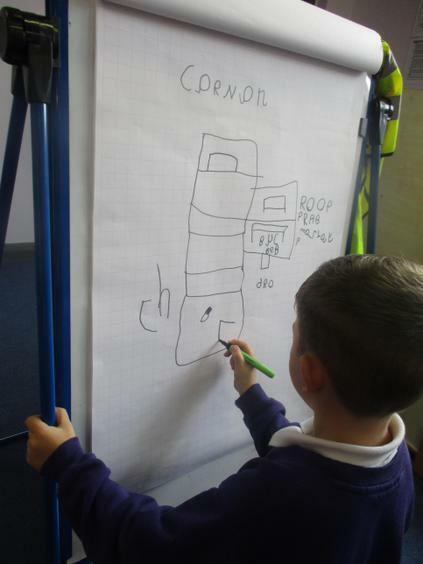 As well as our fantastic classroom we share the key stage area with year 2. 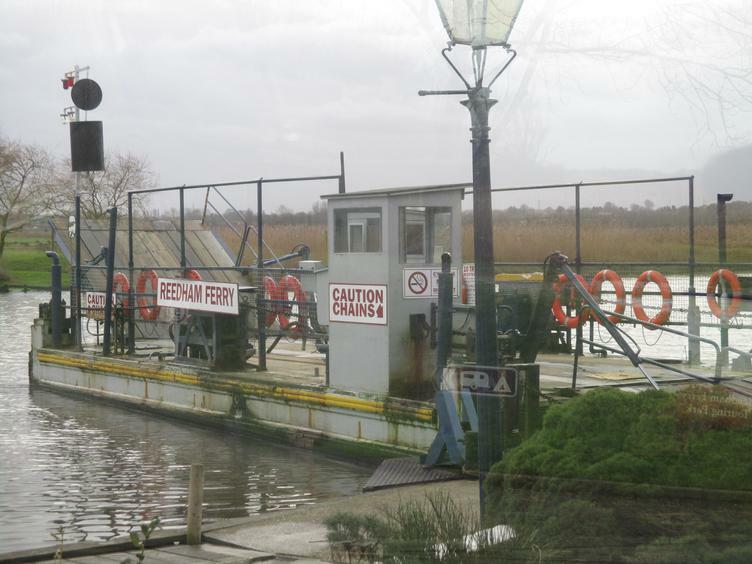 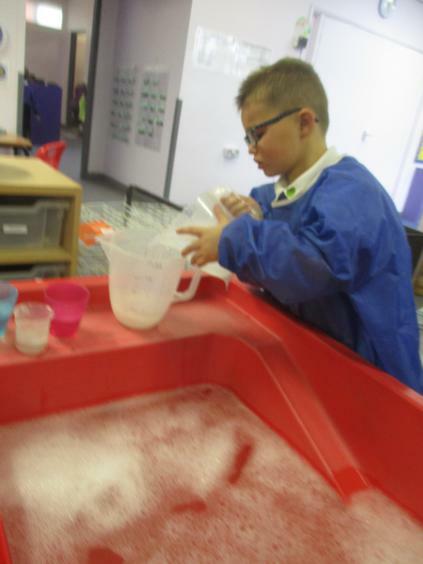 We have a construction, creative and water area. 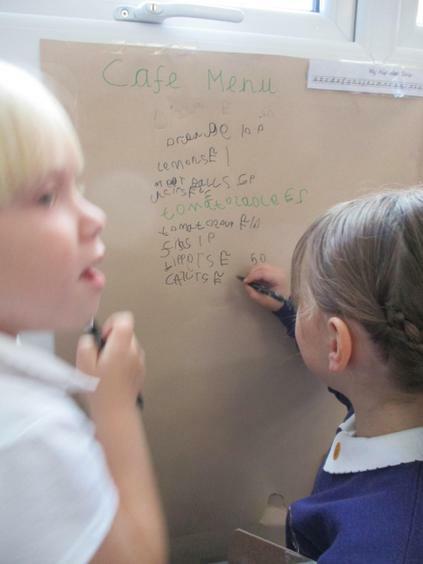 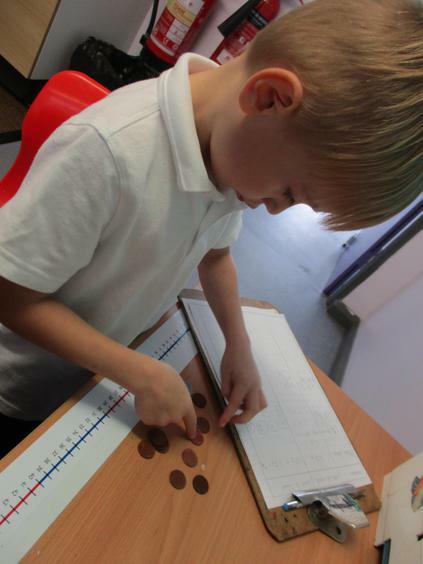 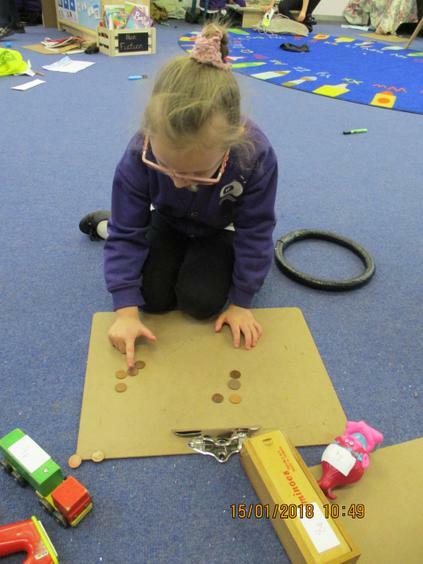 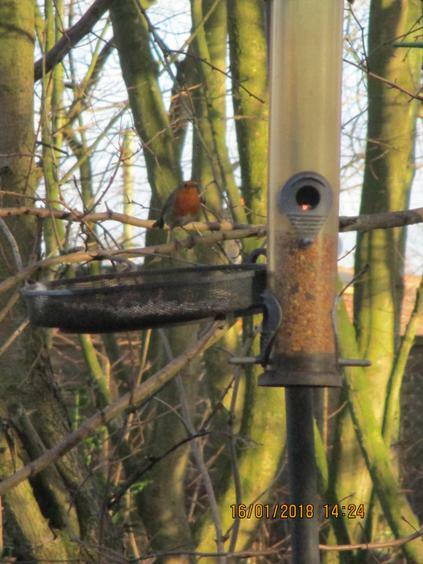 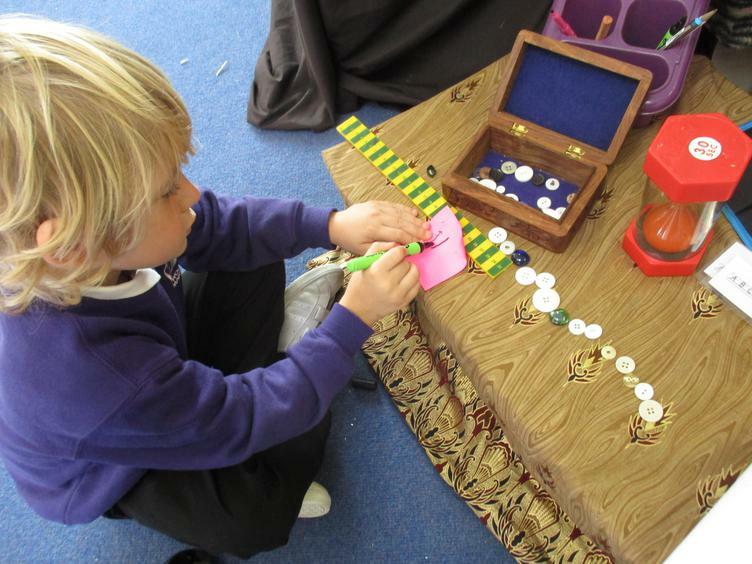 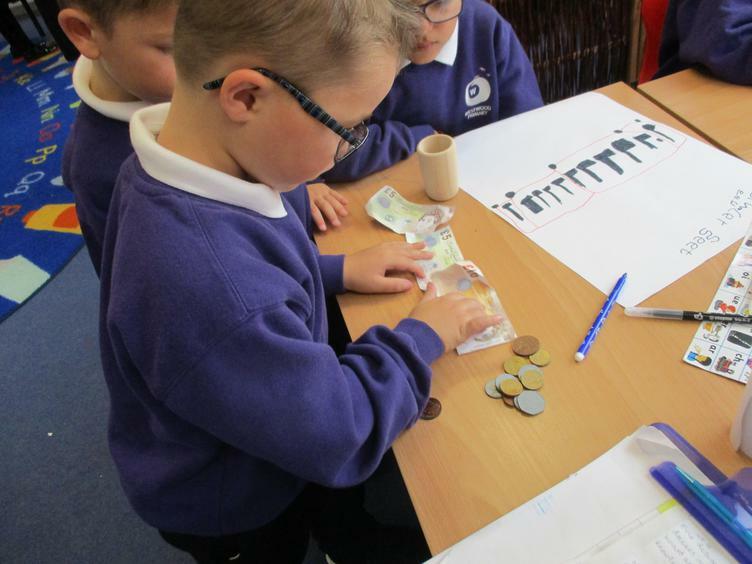 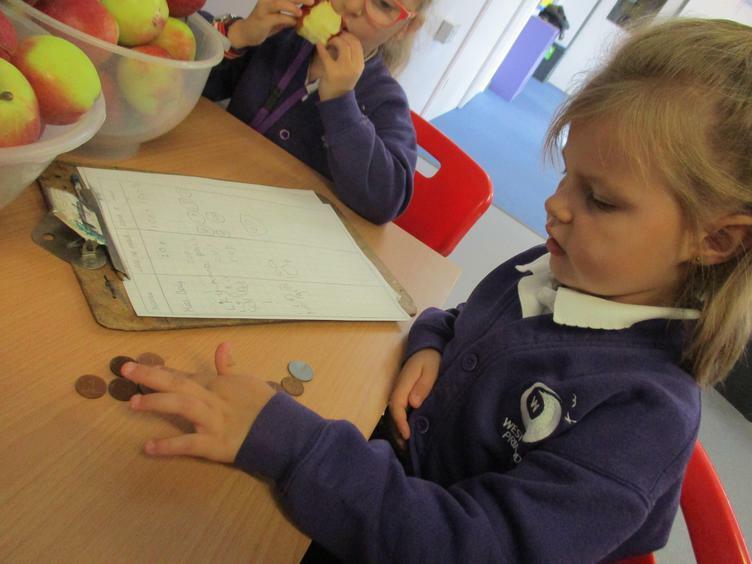 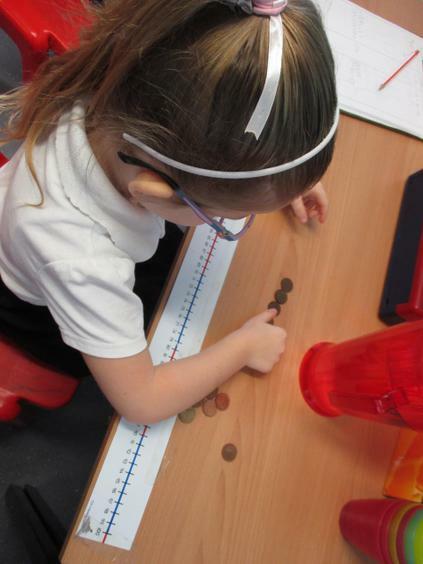 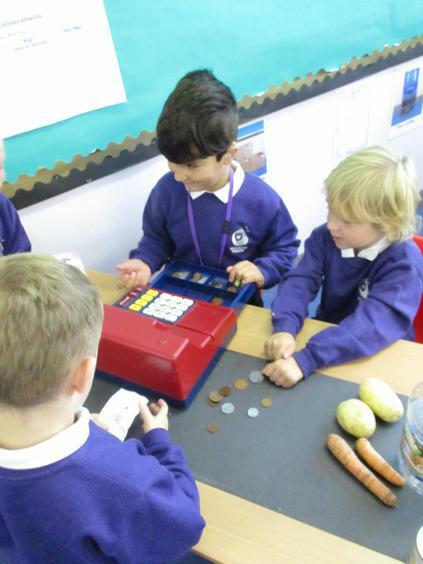 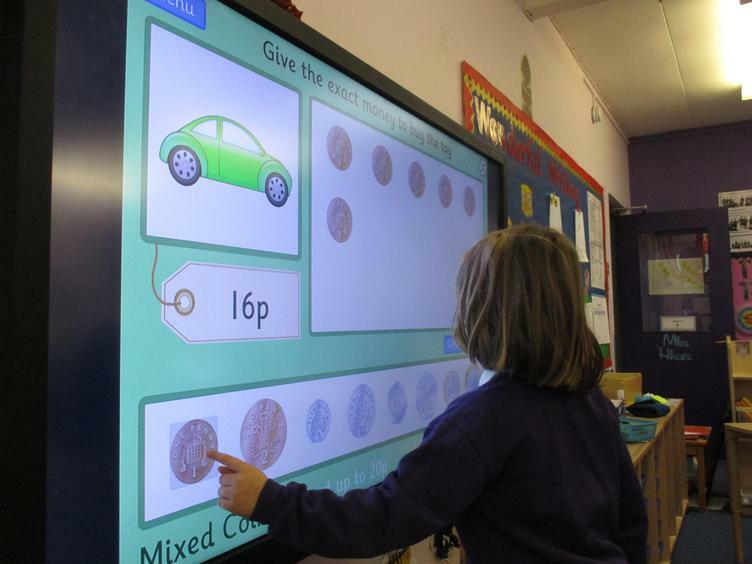 Our snack bar is a paid system which helps to develop money skills within a context. 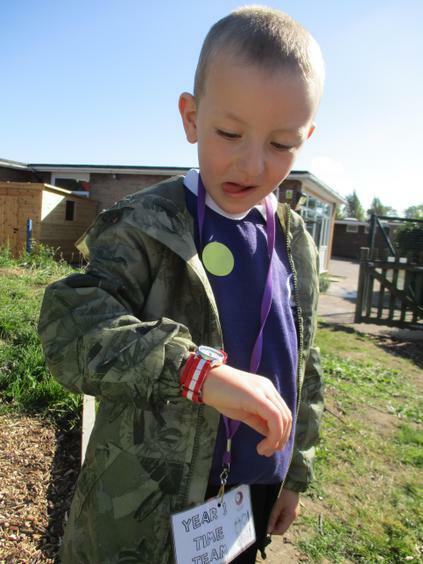 Every week we have a new ‘Time Team’ who have their very own watch and are responsible for keeping the adults to timings! 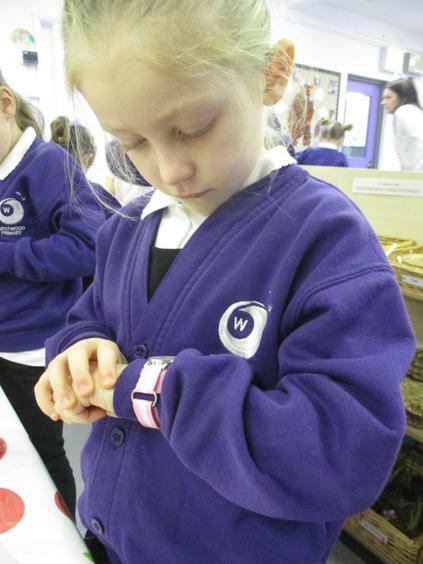 We are learning to tell the time to O’clock and half past the hour. 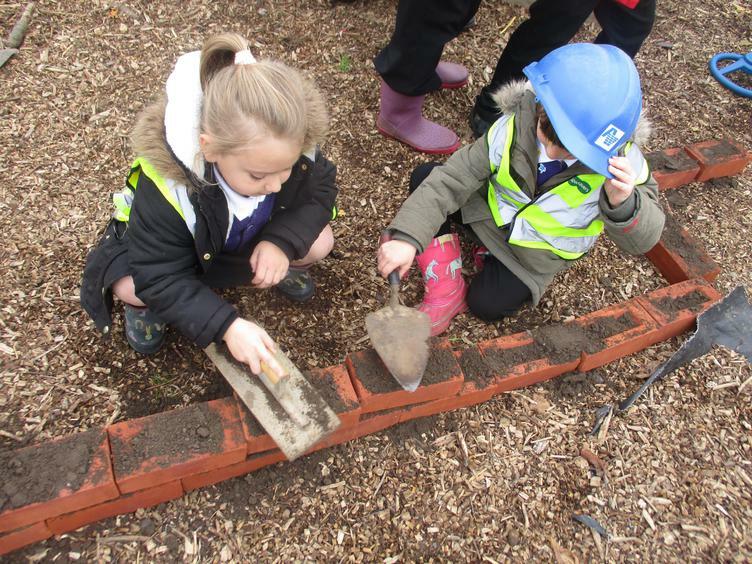 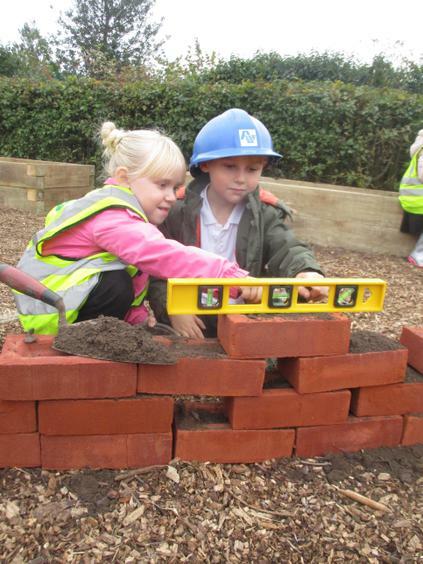 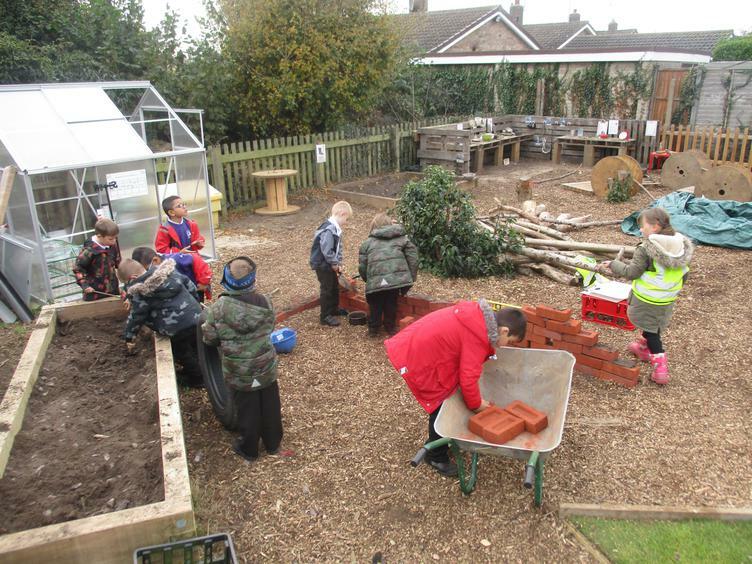 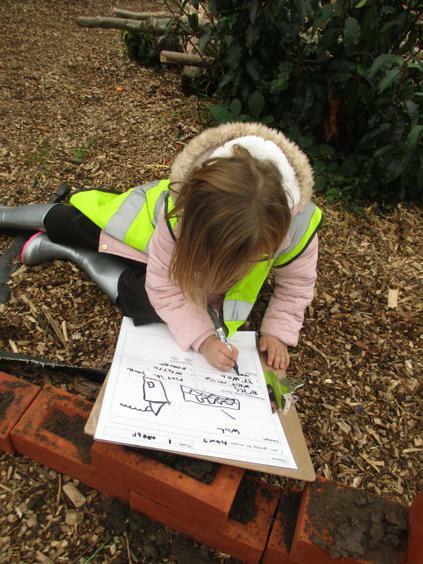 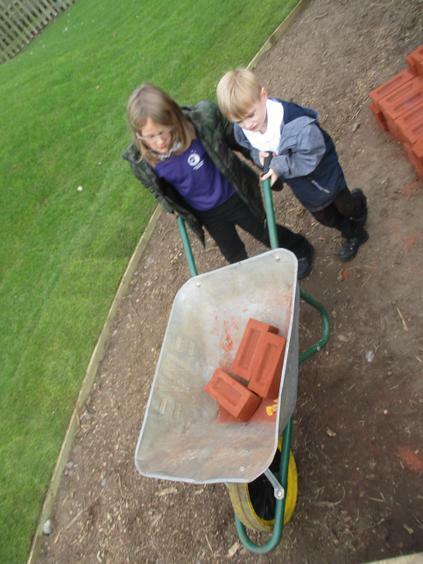 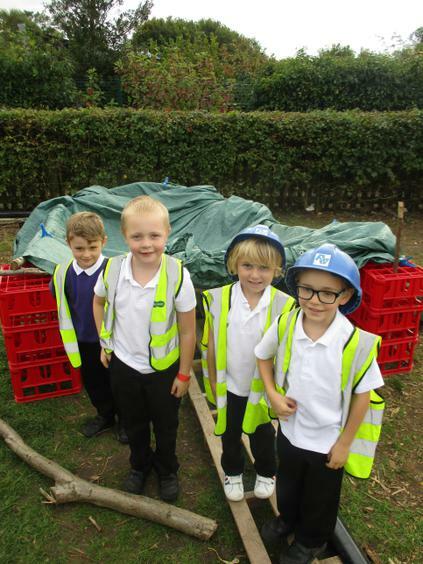 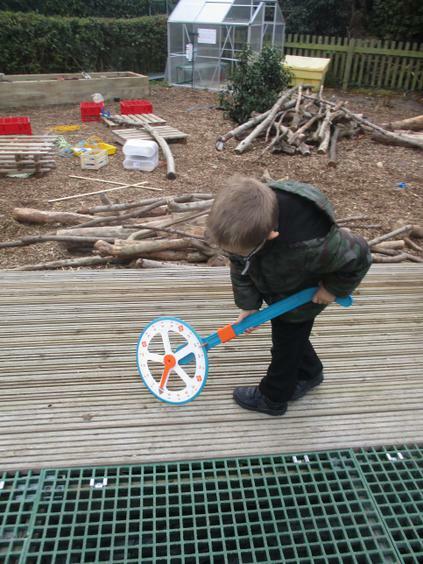 Outside we are busy developing and creating our Key Stage 1 garden. 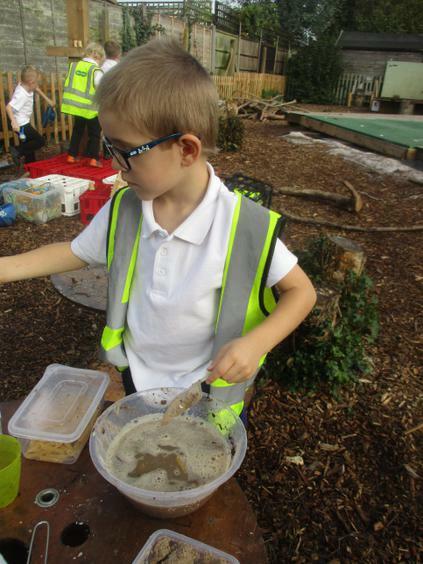 We already have a mud kitchen, sand pit, stage, construction area, planters and an amazing pond! 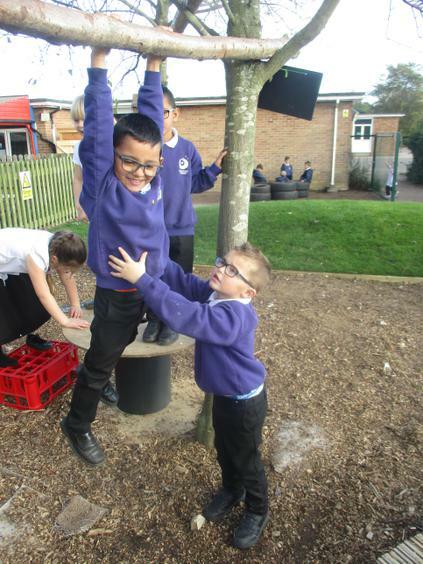 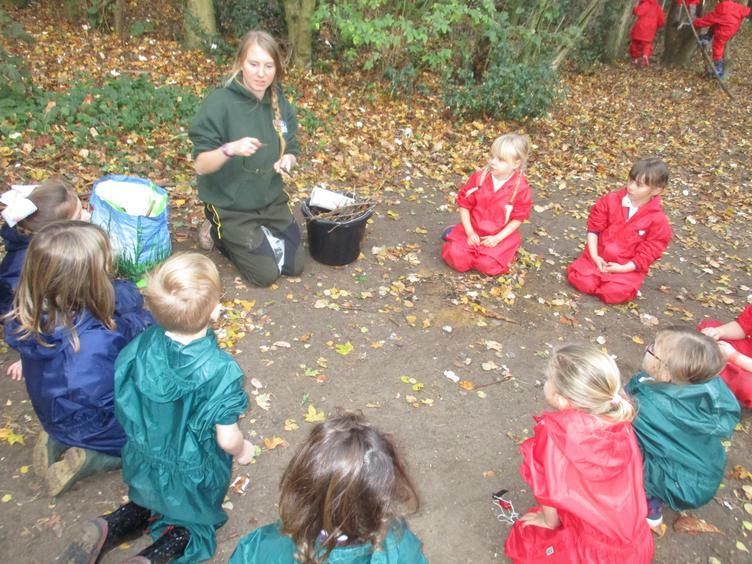 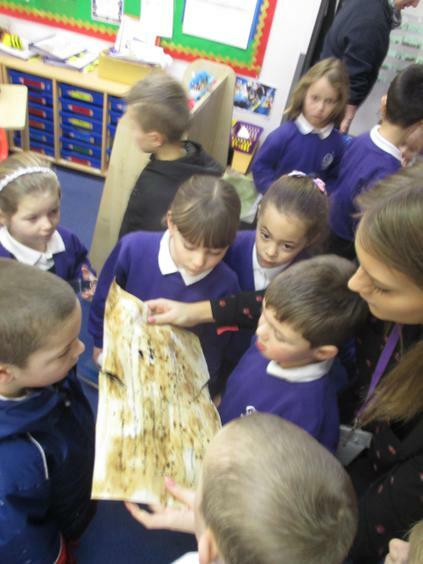 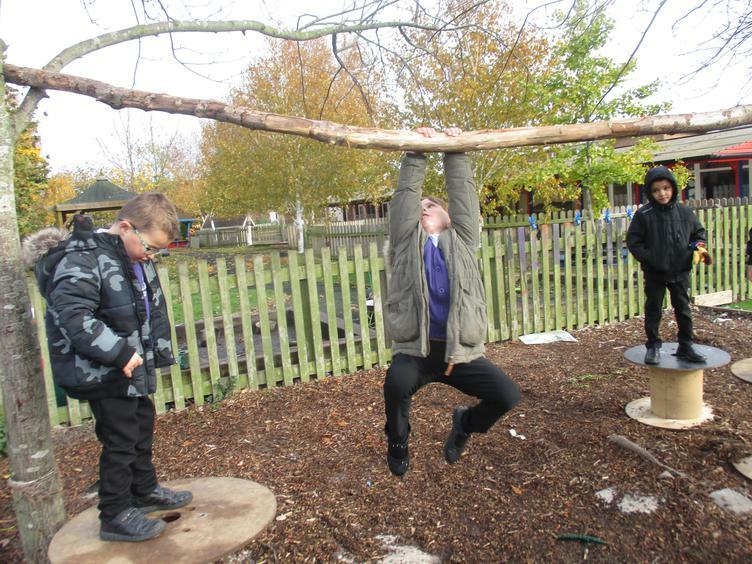 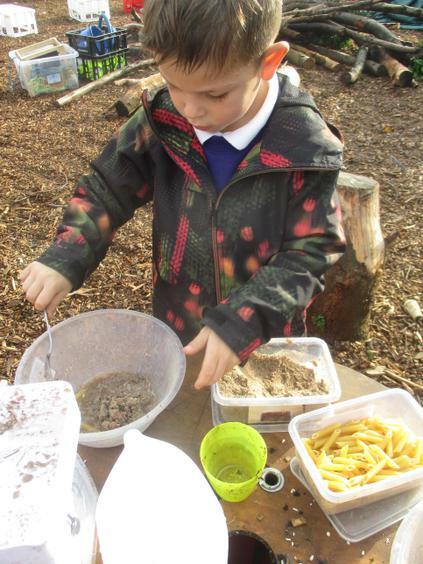 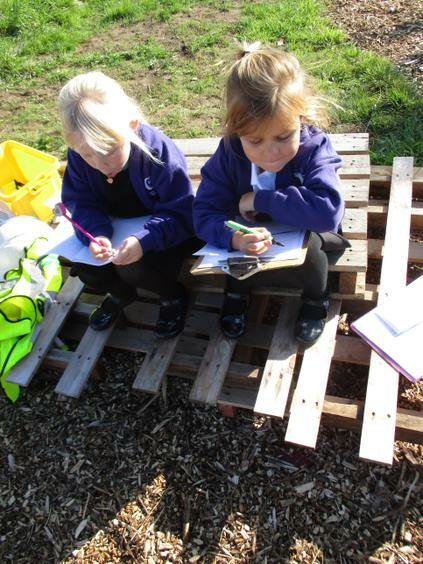 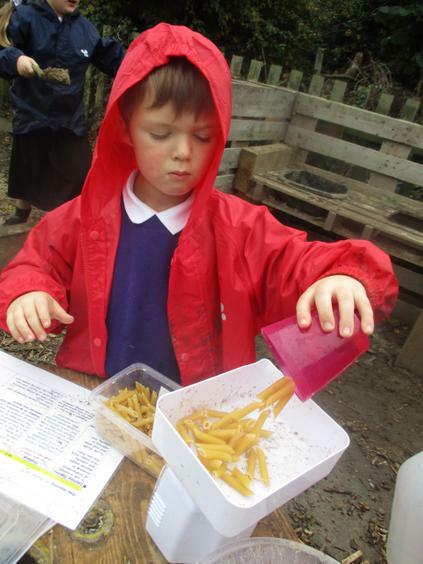 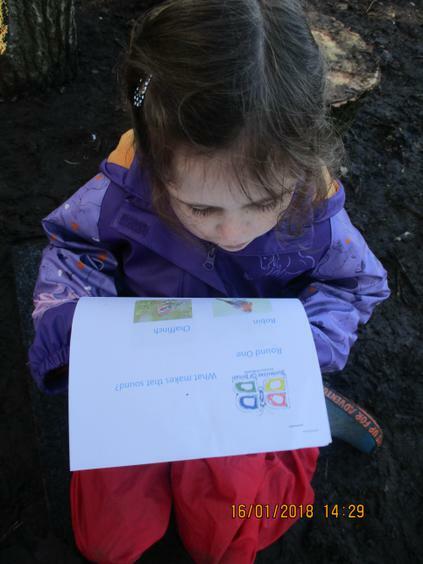 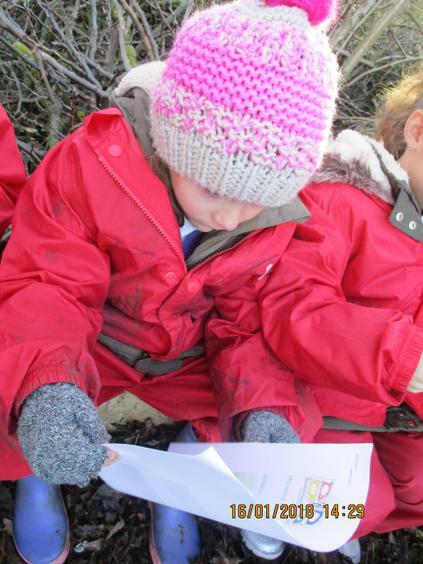 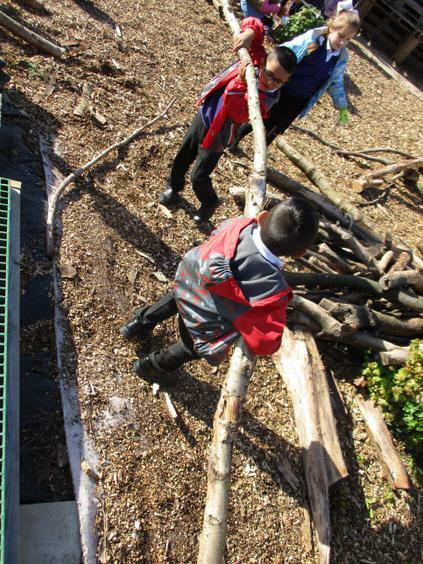 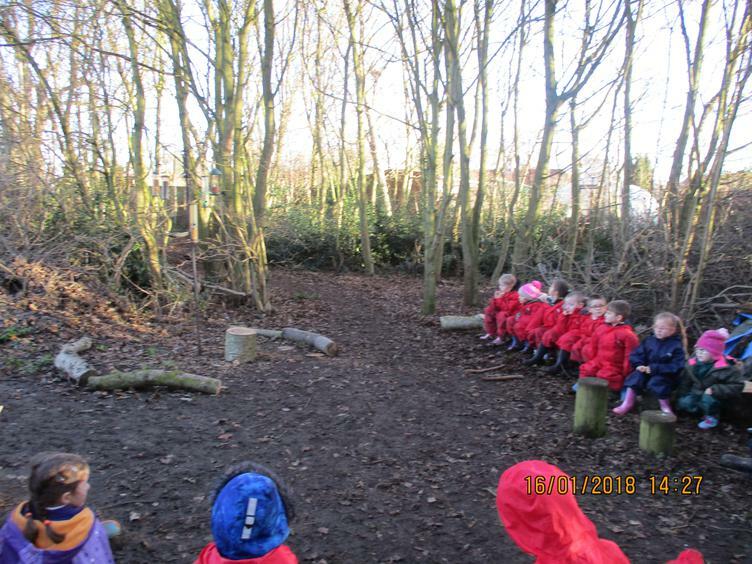 When we are busy learning outside we can sometimes get muddy. 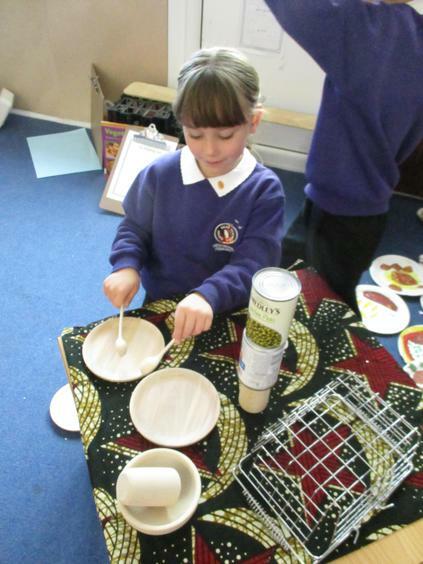 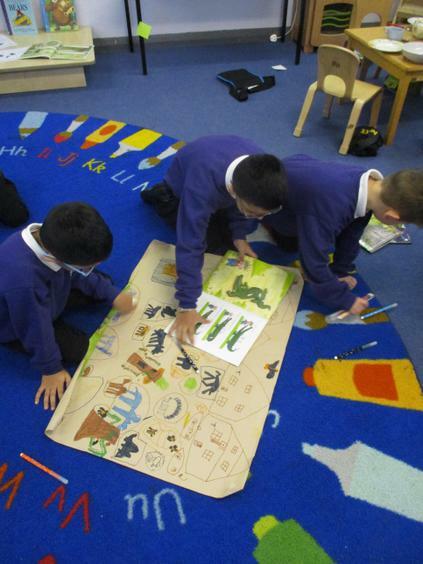 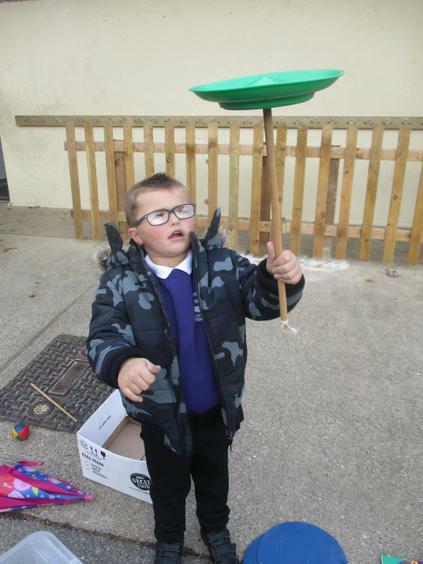 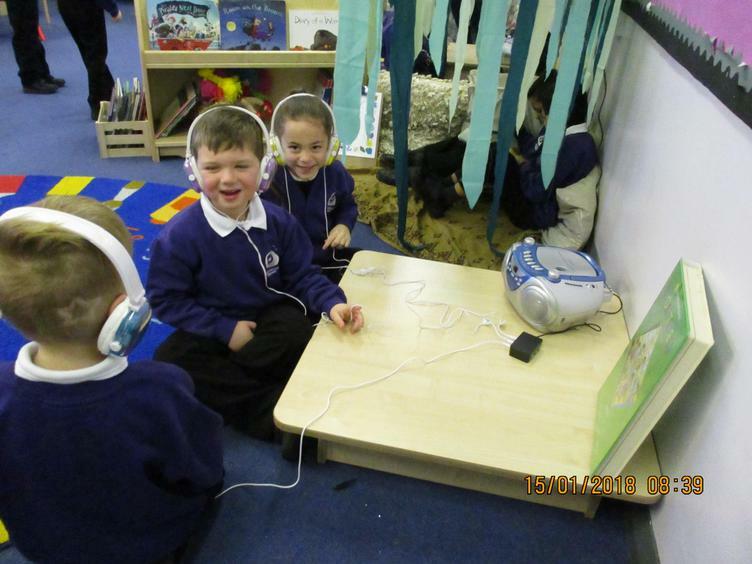 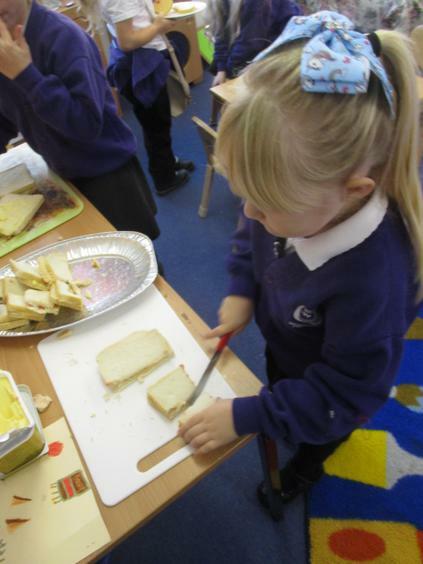 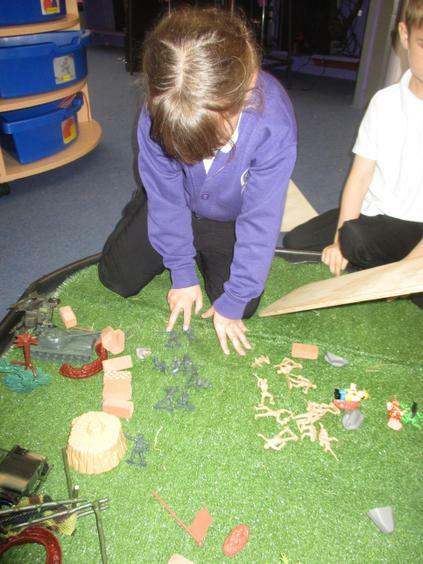 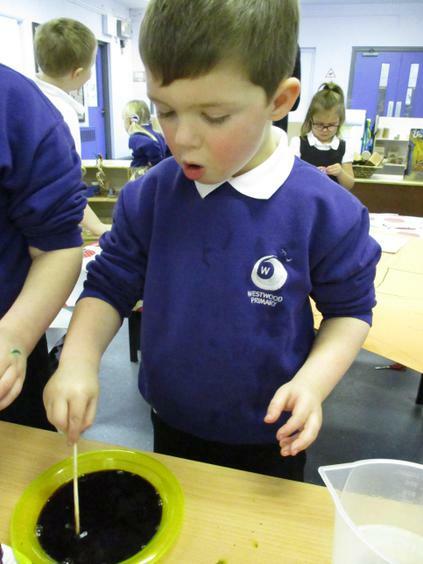 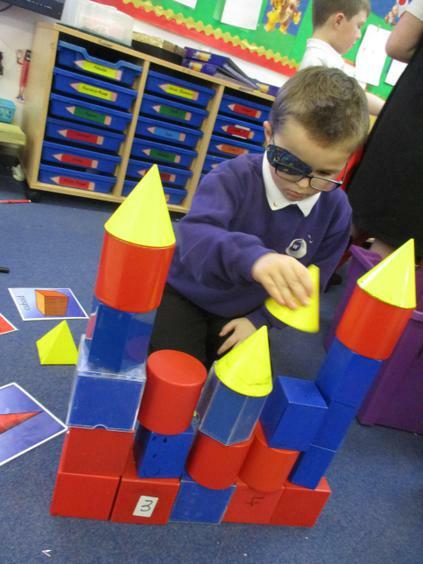 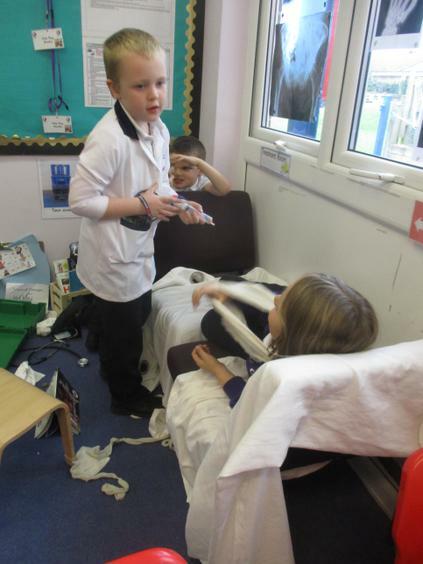 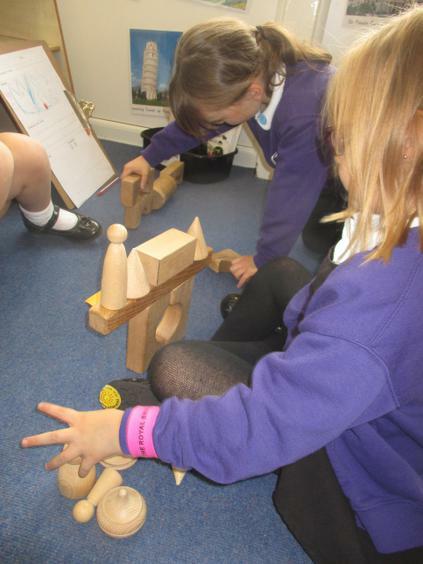 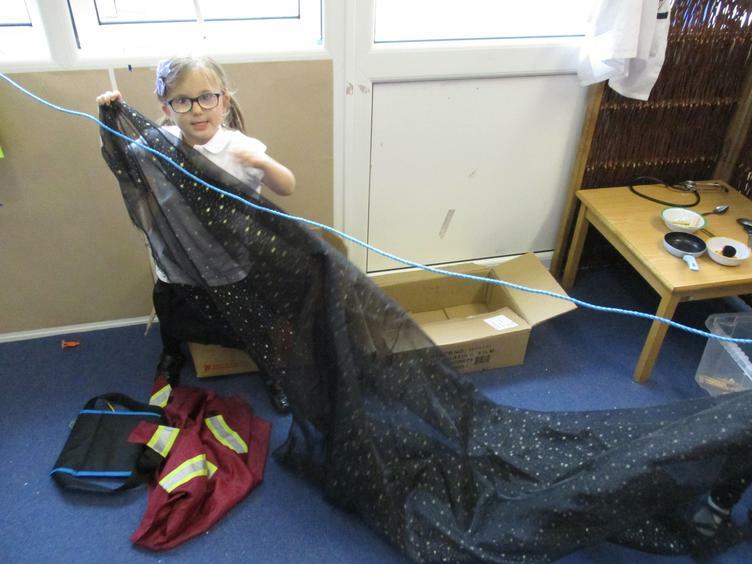 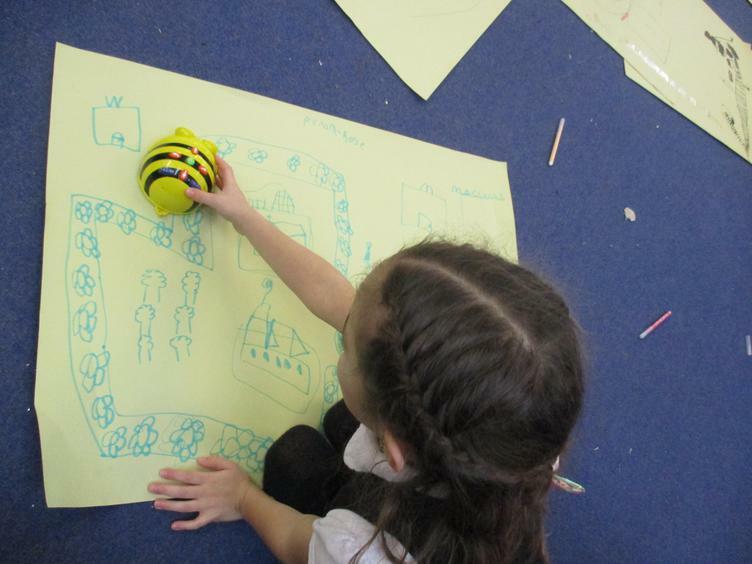 This just means we are really engaged in our play and are doing our very best learning. 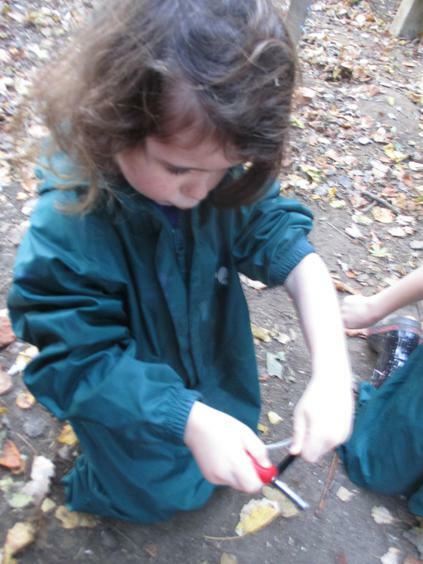 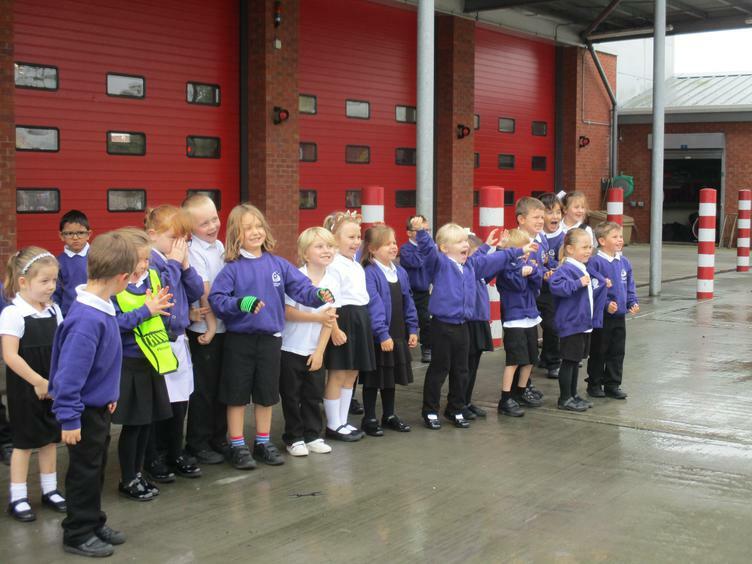 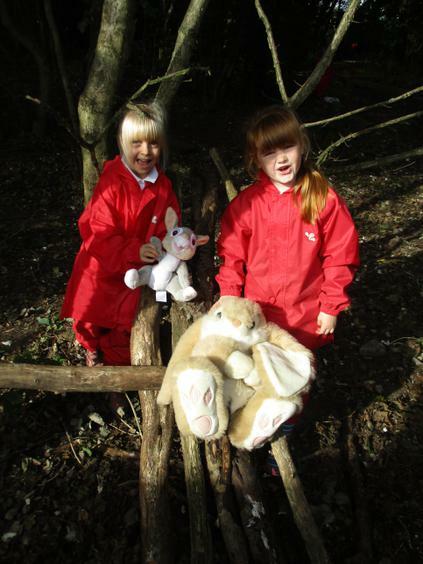 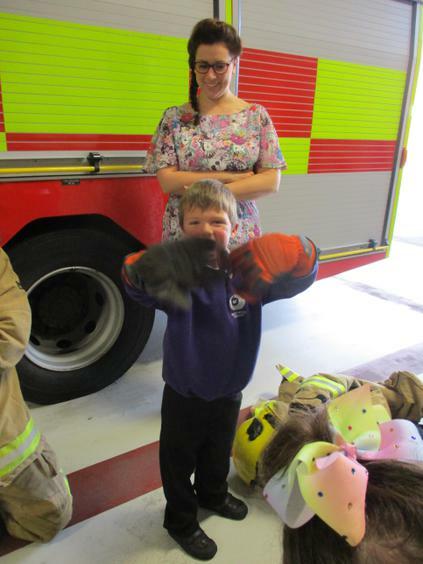 We have wet weather suits at school but need our own named pair of wellies from home. 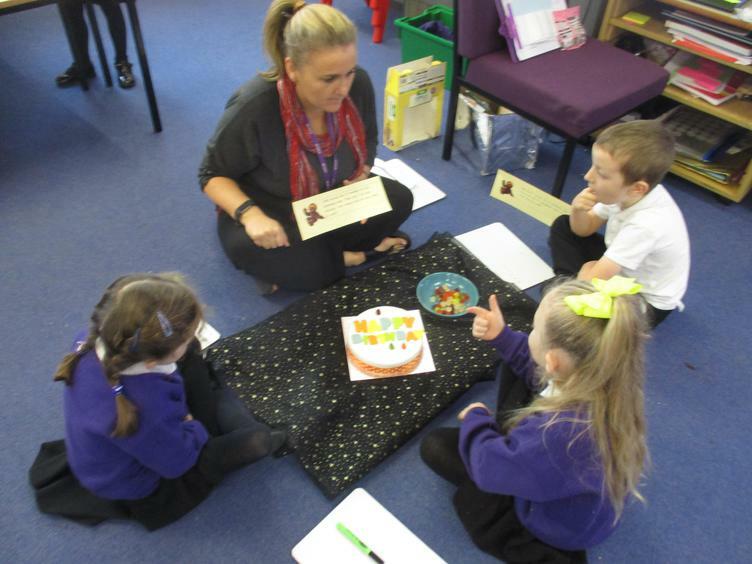 In Talk 4 Writing we are learning about traditional tales, focusing on Goldilocks and the Three Bears. 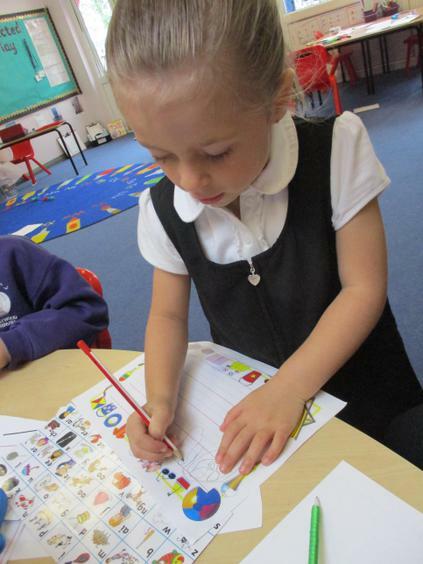 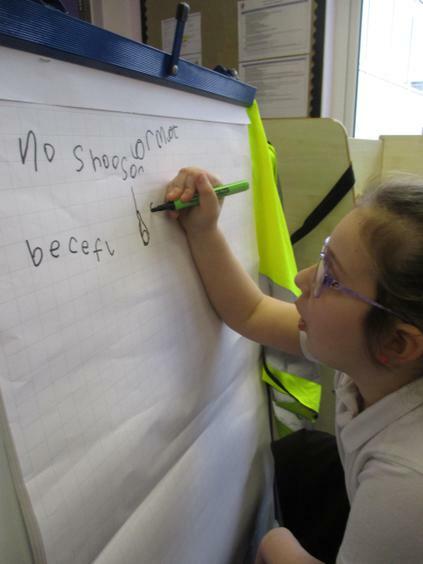 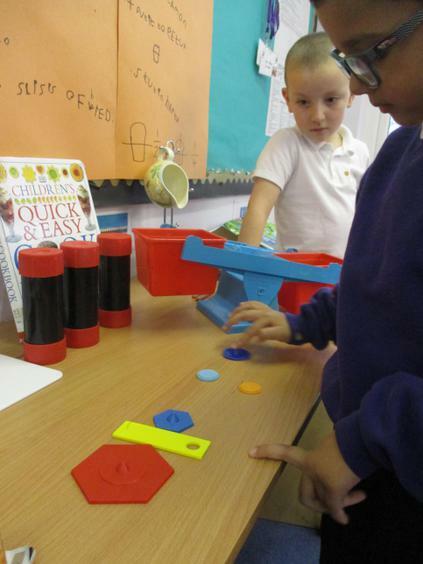 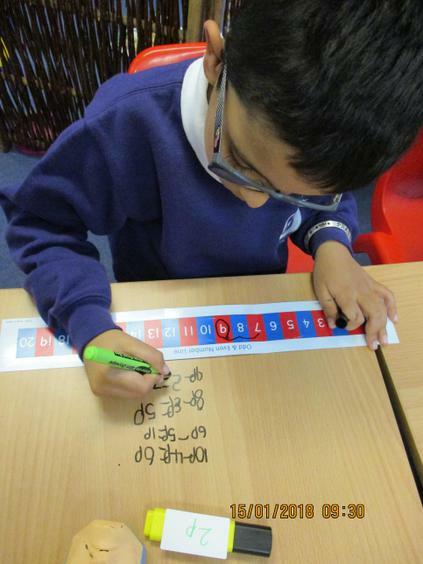 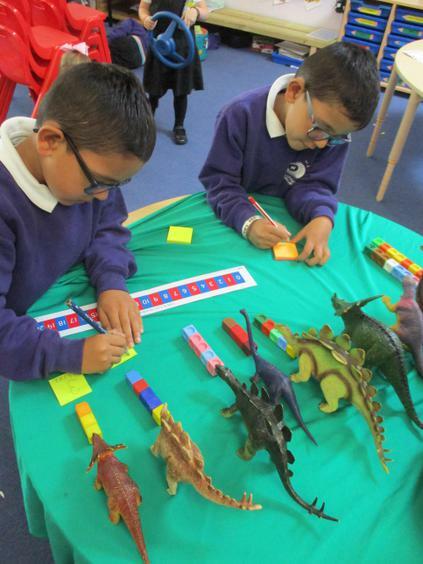 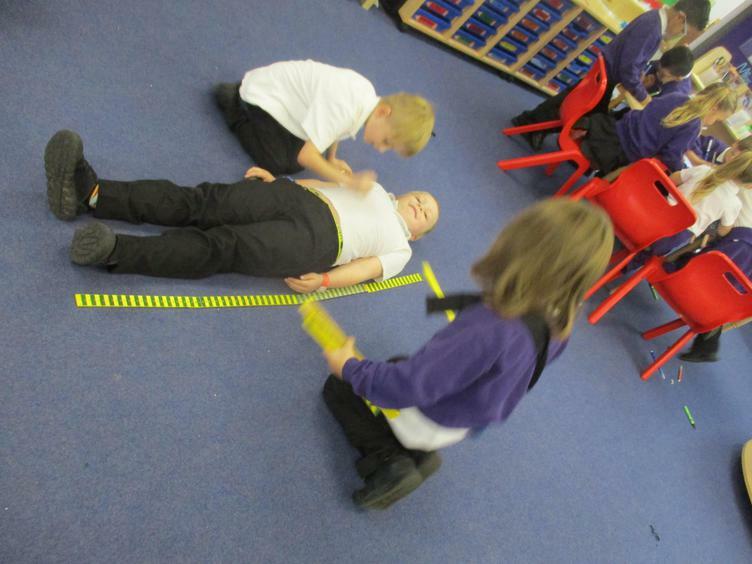 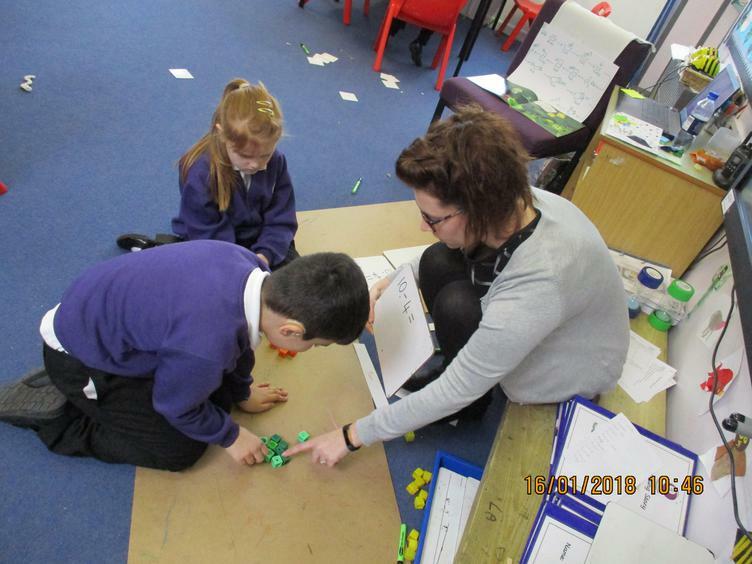 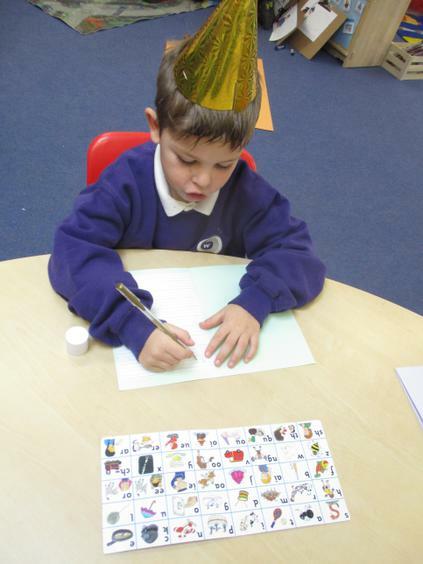 In maths we are learning all about numbers to 20. 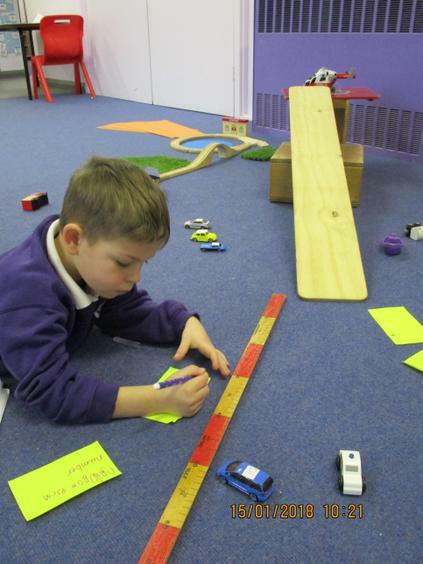 Which includes counting, place value, ordering, comparing and estimating as well as simple addition and subtraction. 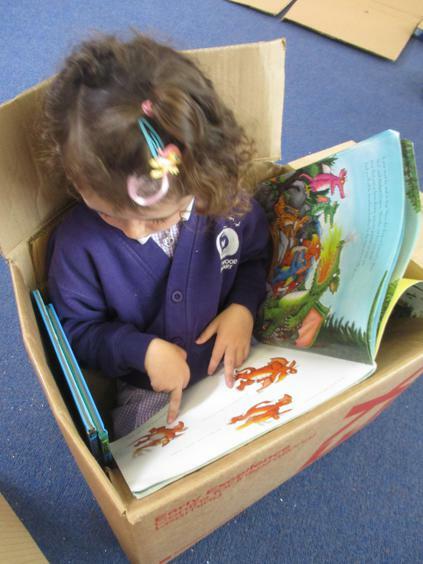 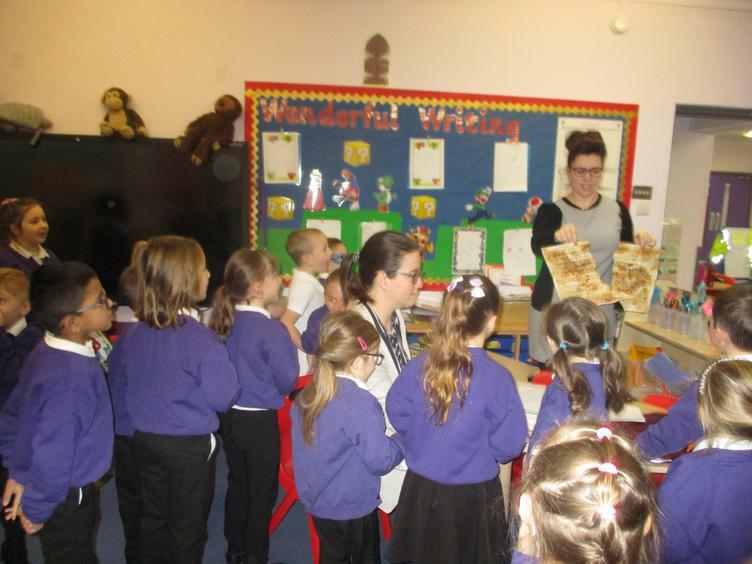 Every Tuesday afternoon we go to the library and attend Woodland School. 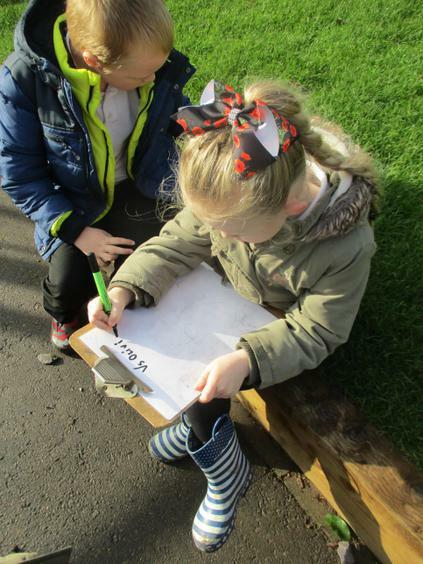 In the afternoon we follow an enquiry based learning curriculum (EBL). 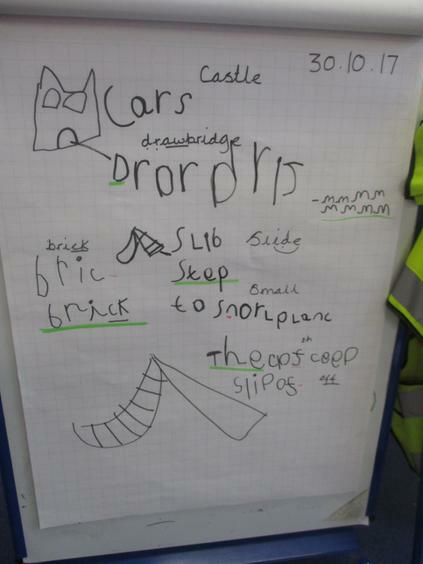 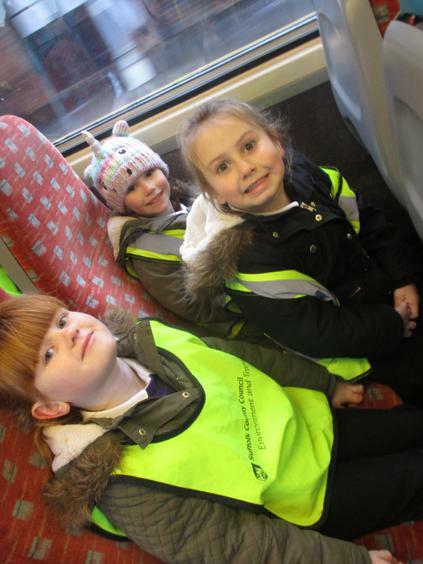 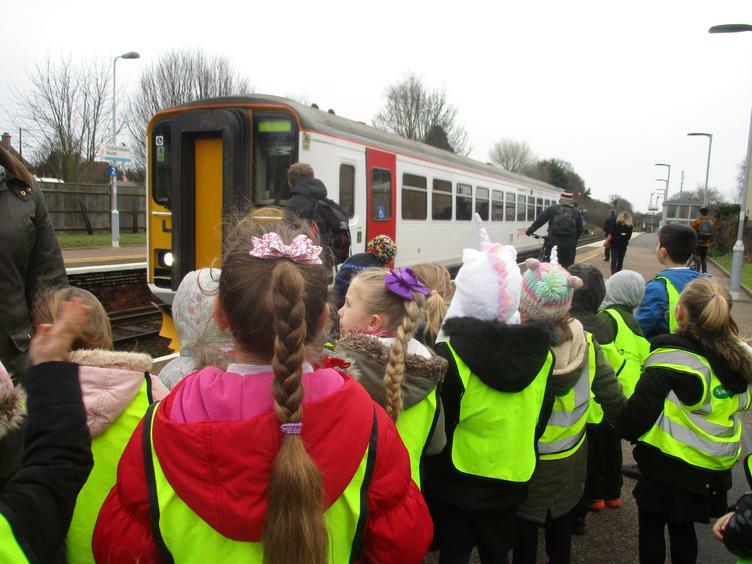 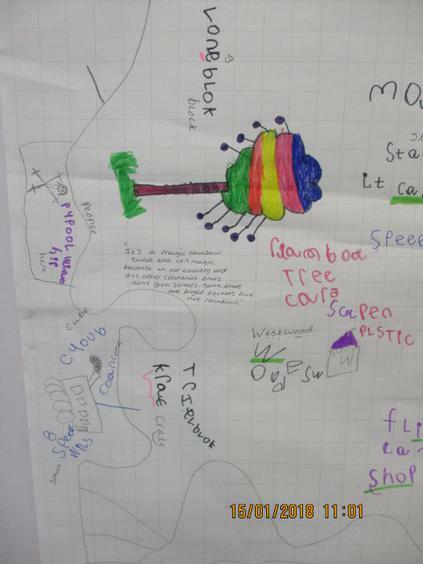 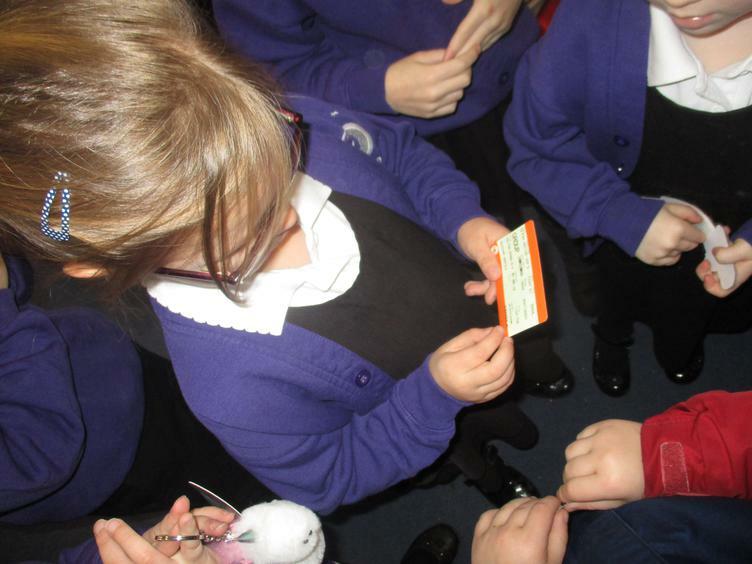 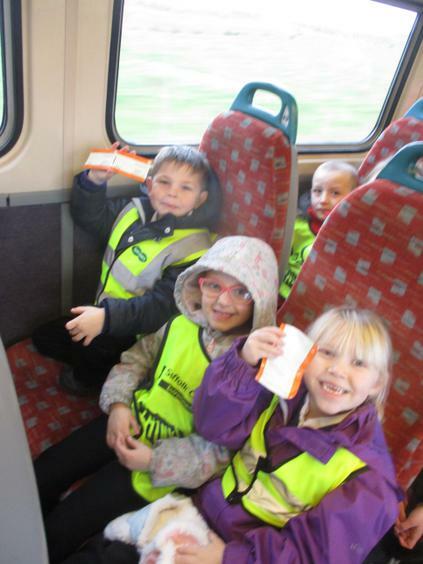 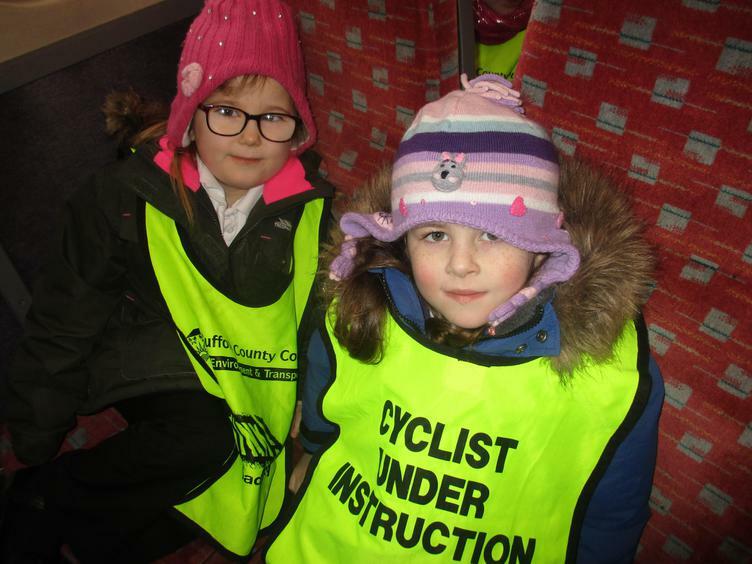 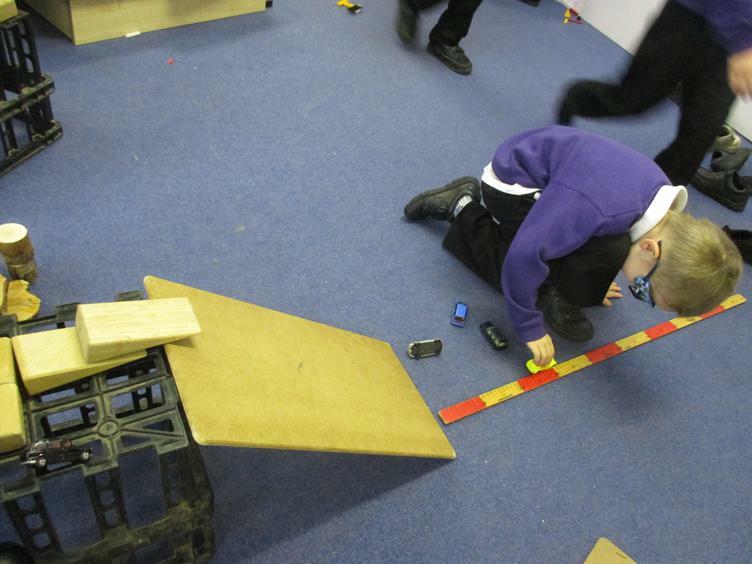 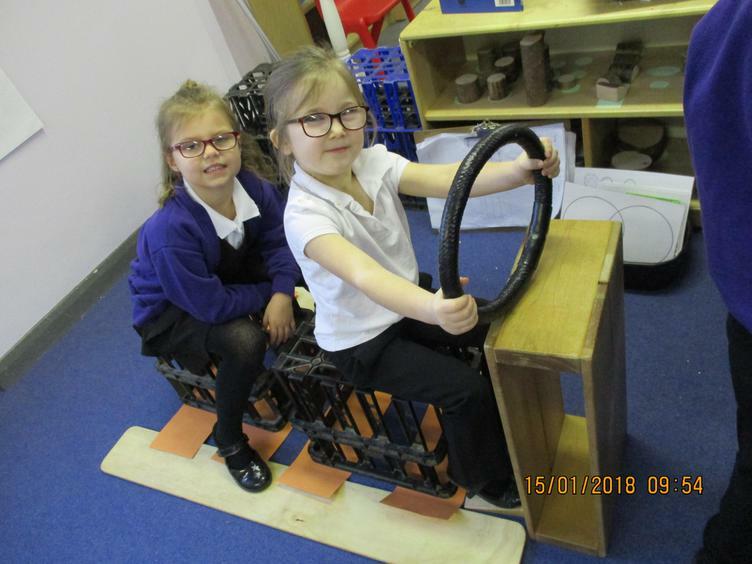 This term we are researching ‘Transport’. 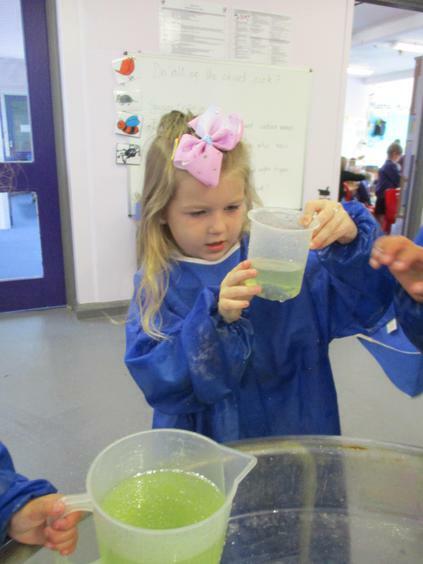 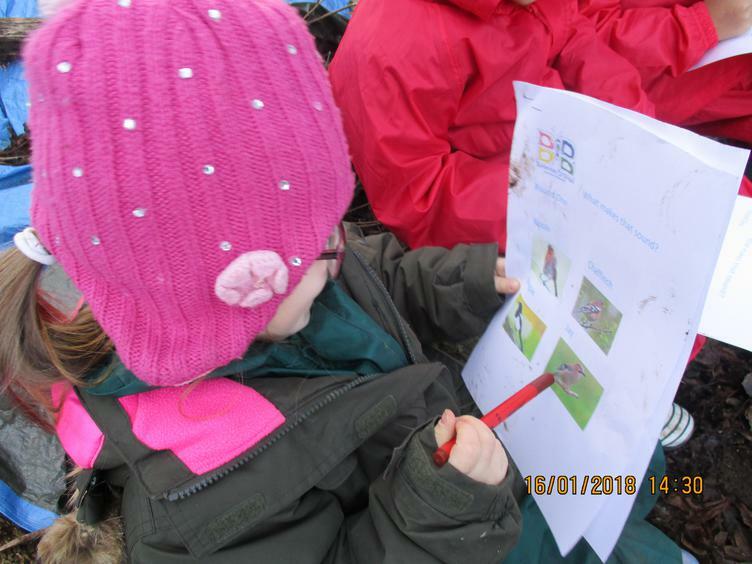 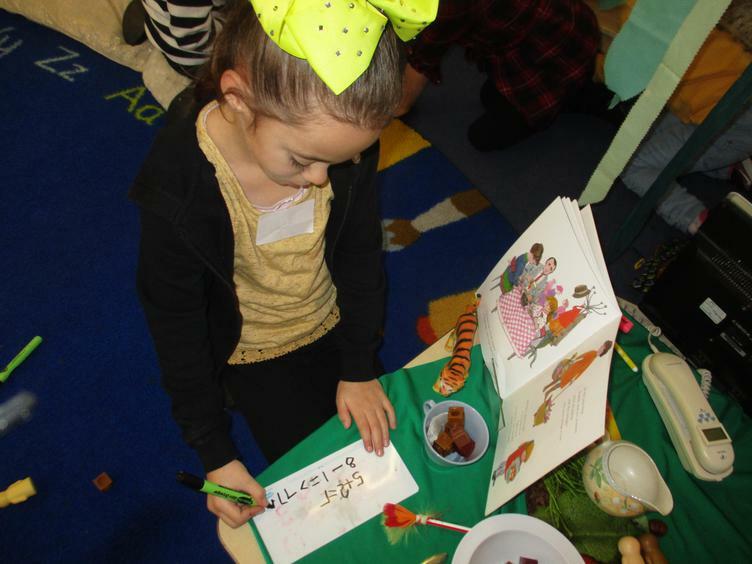 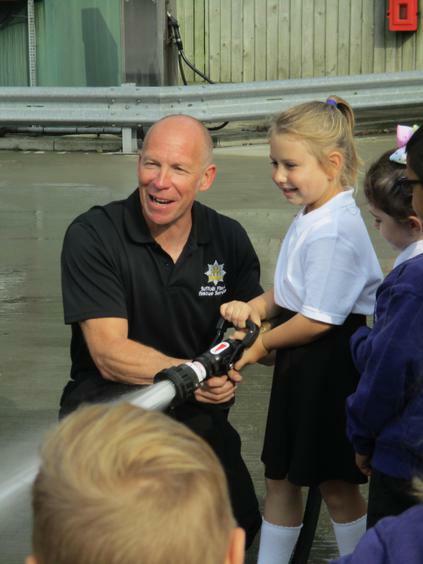 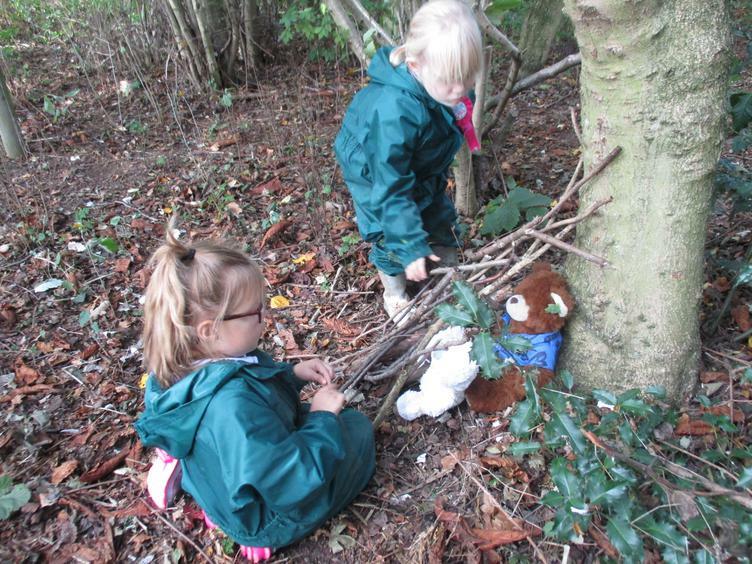 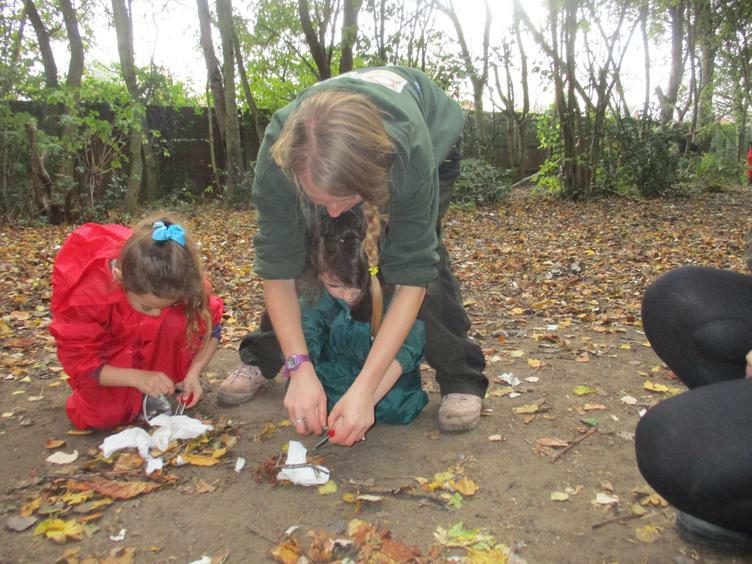 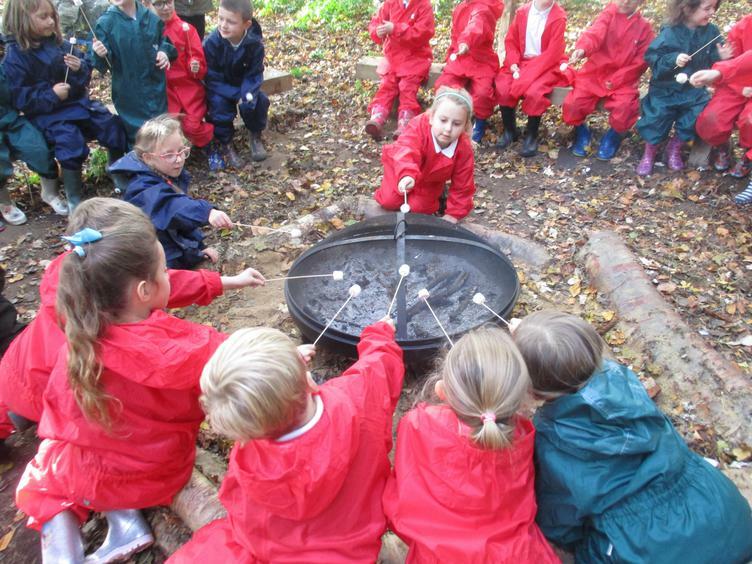 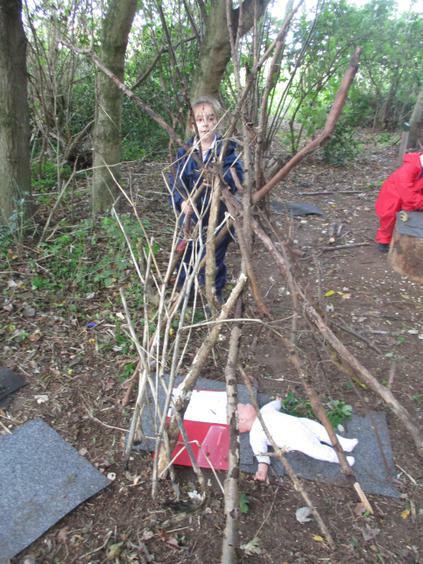 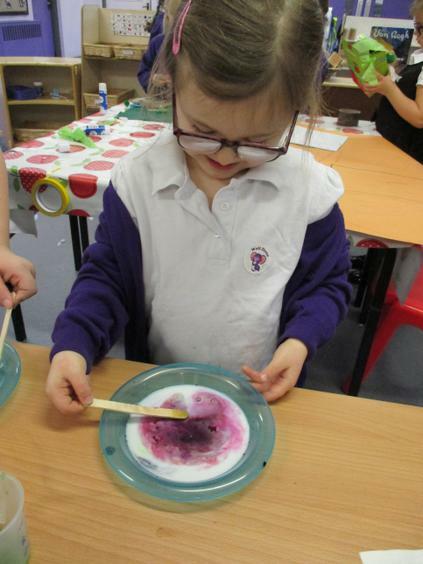 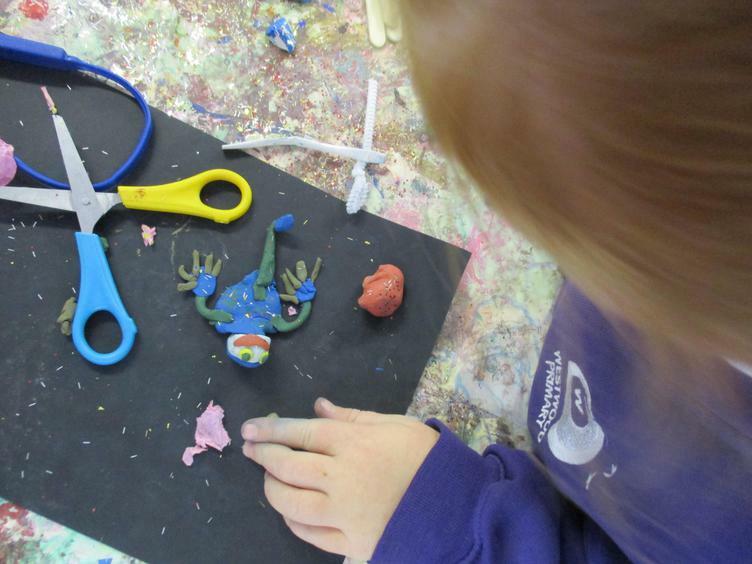 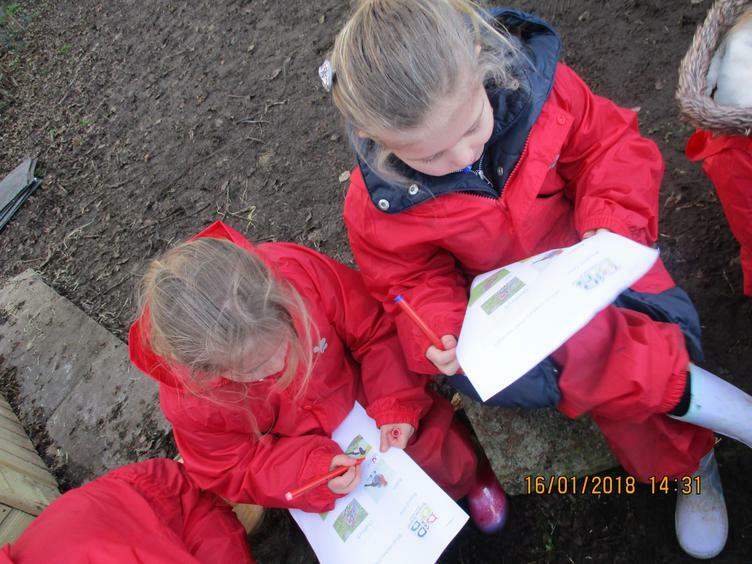 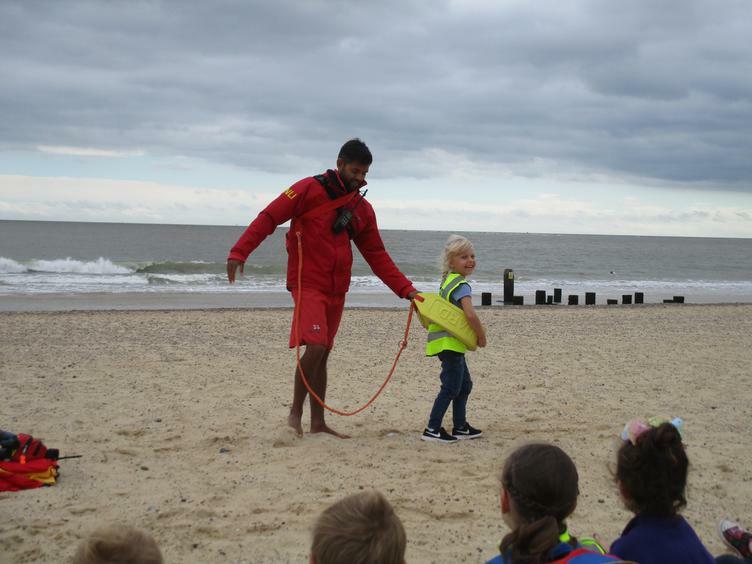 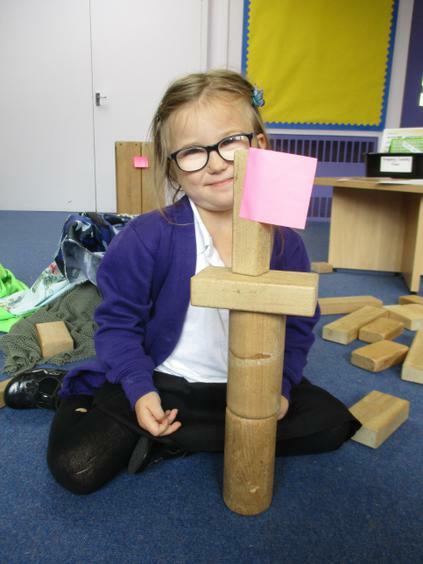 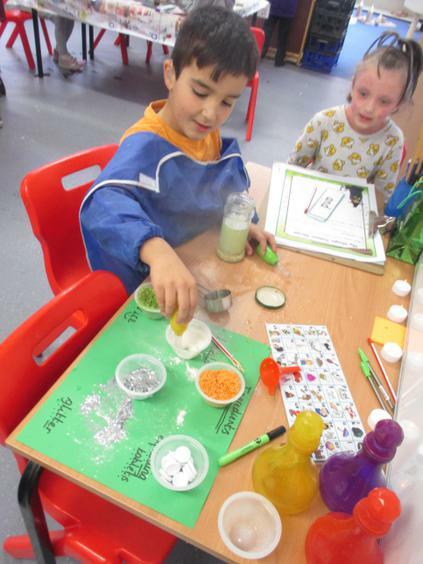 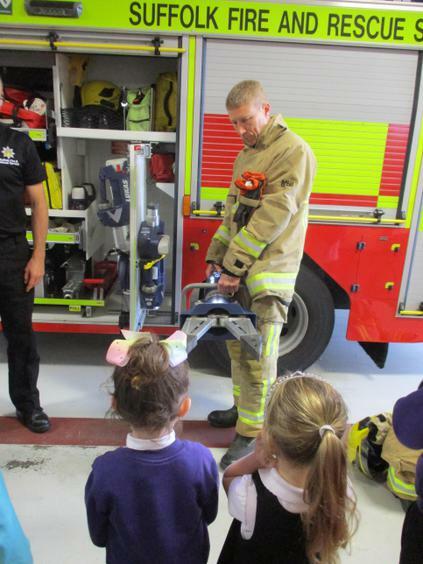 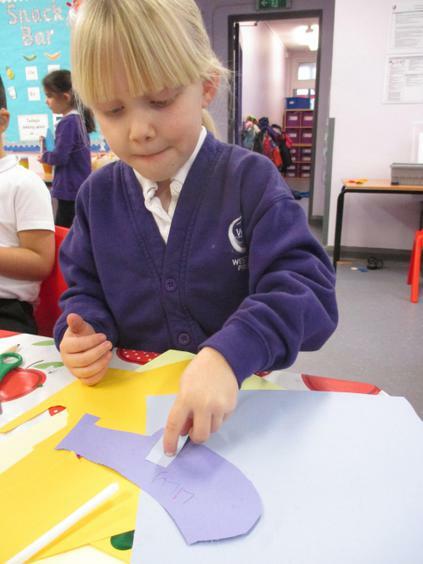 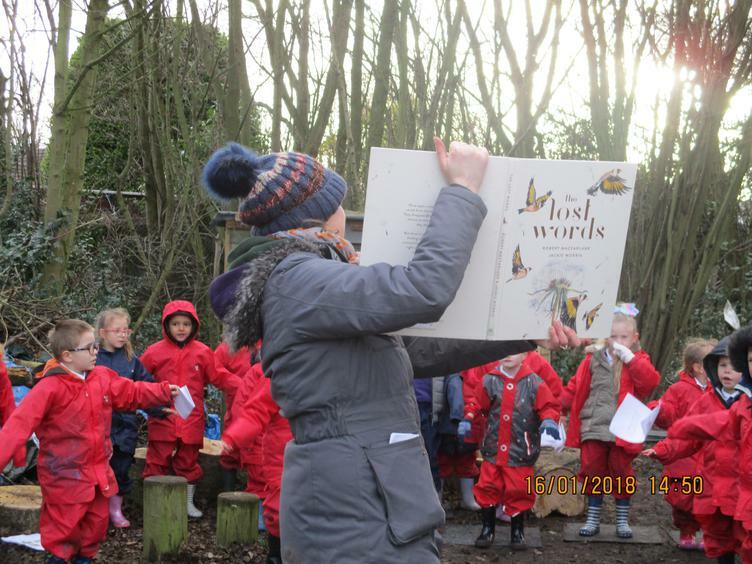 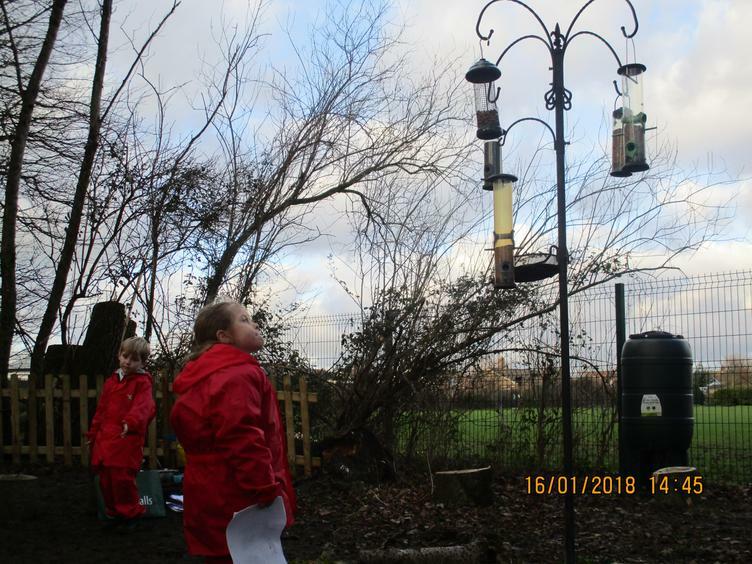 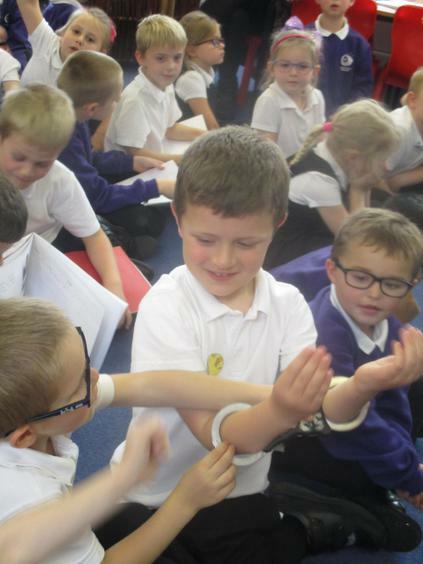 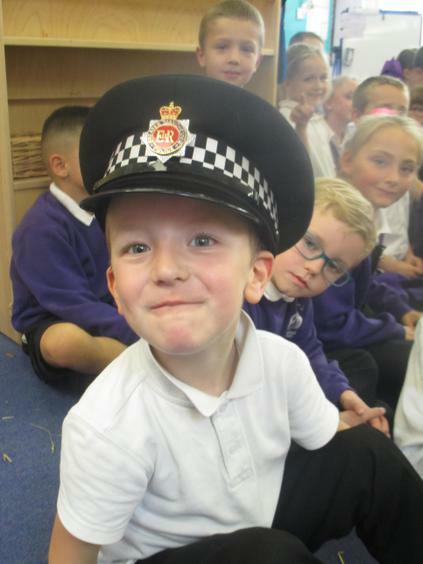 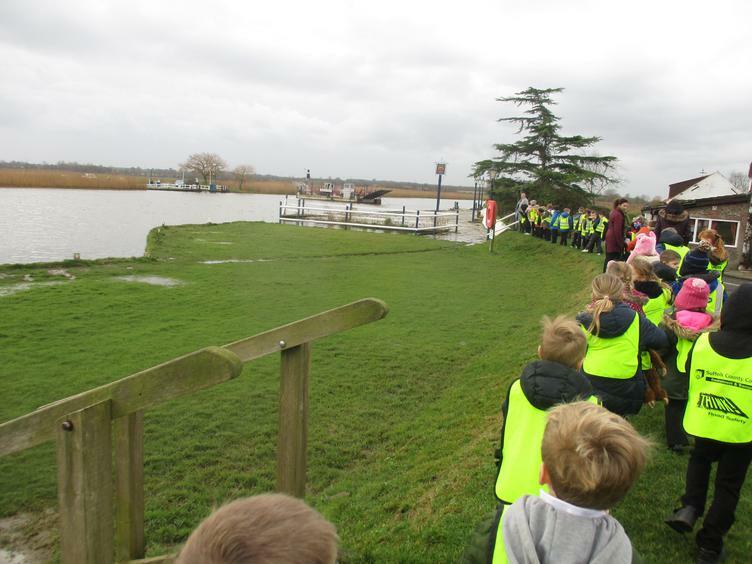 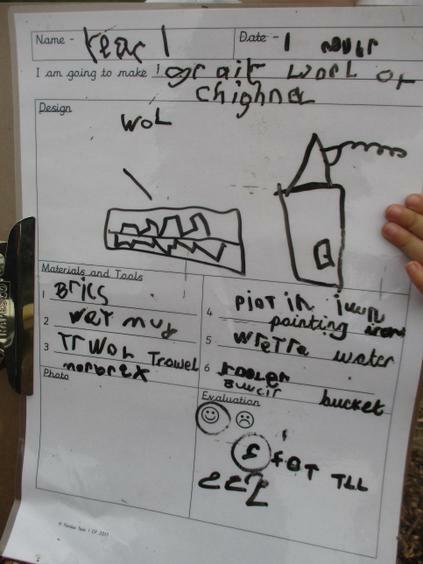 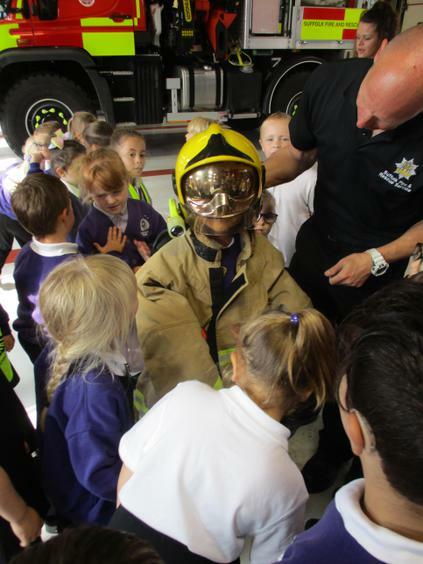 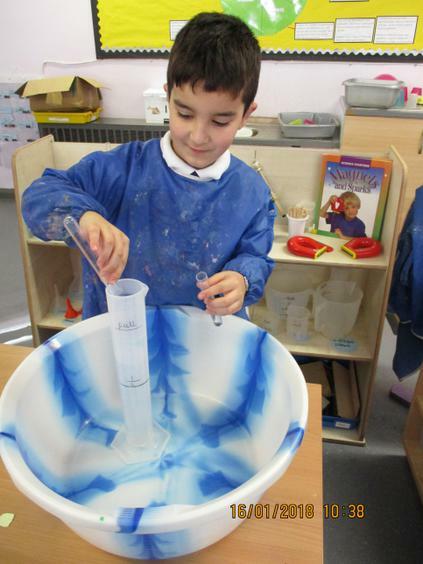 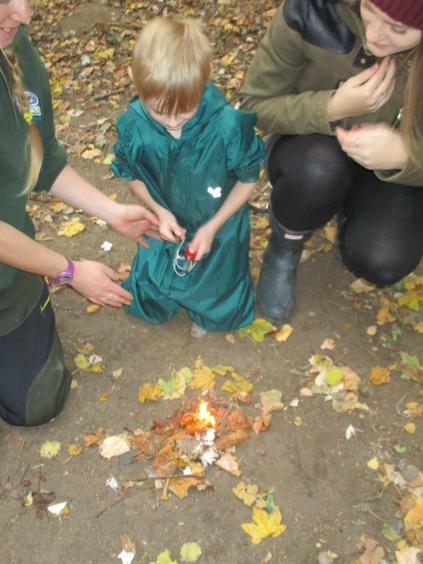 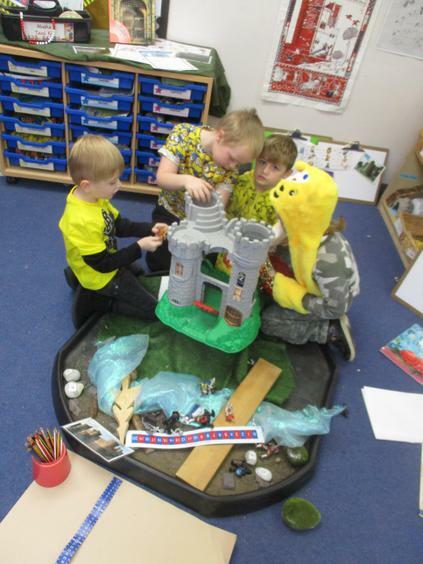 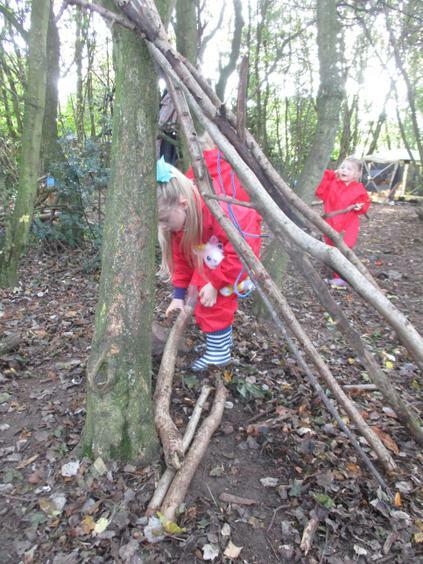 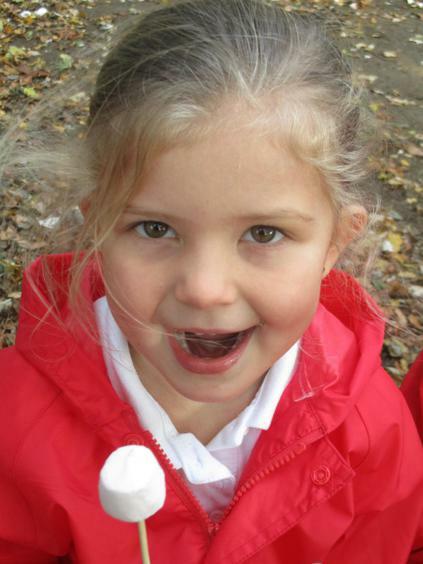 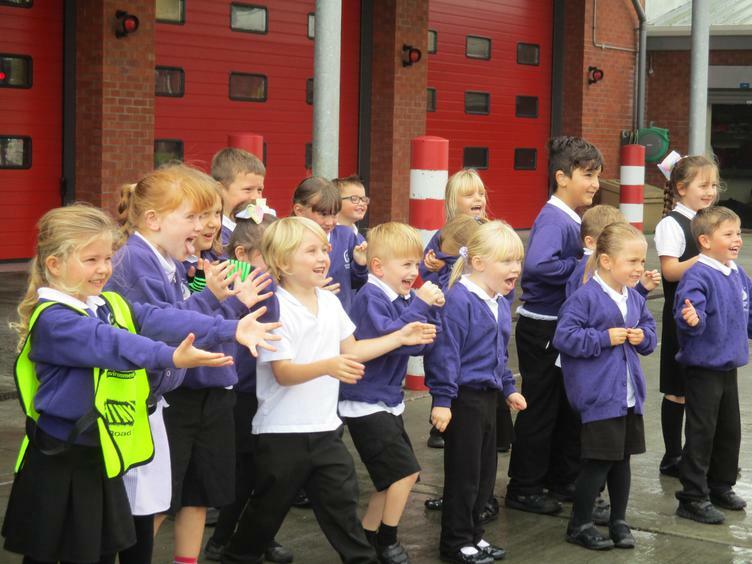 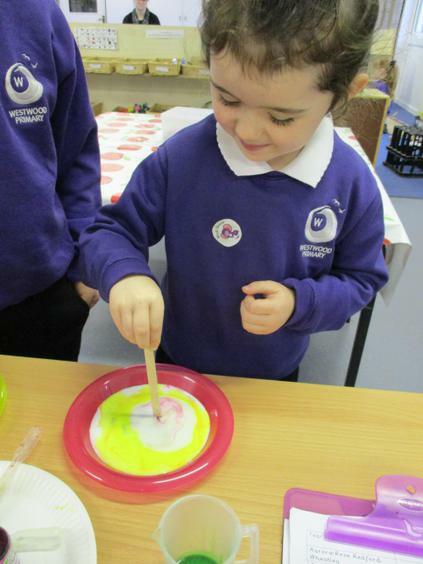 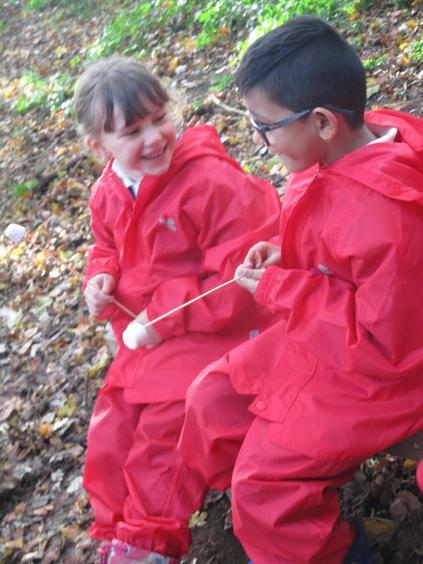 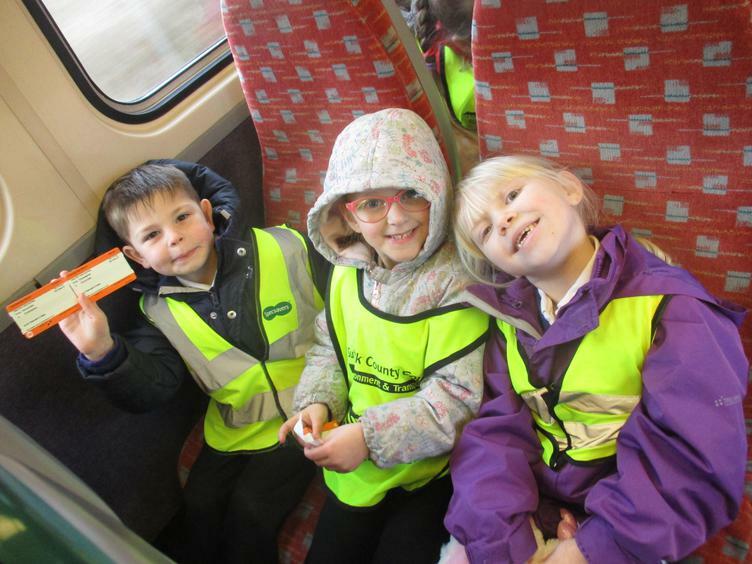 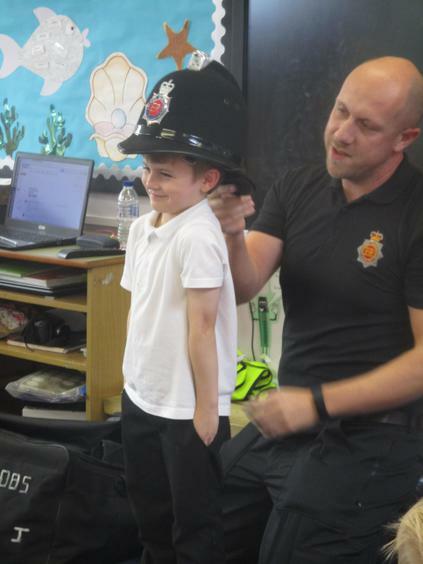 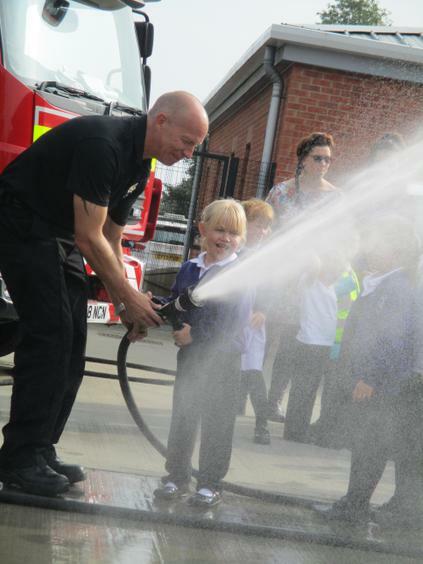 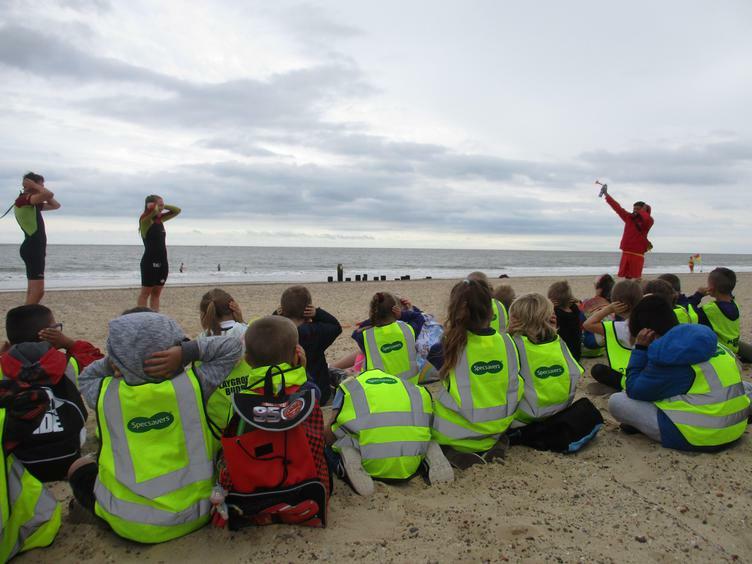 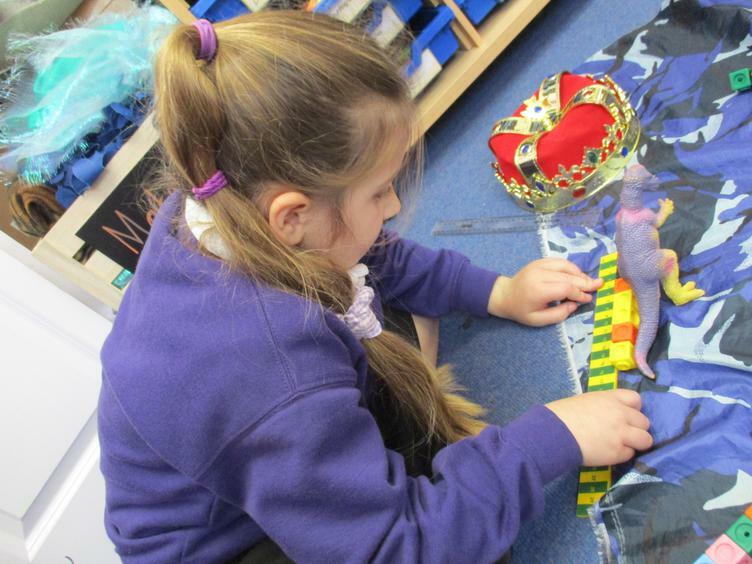 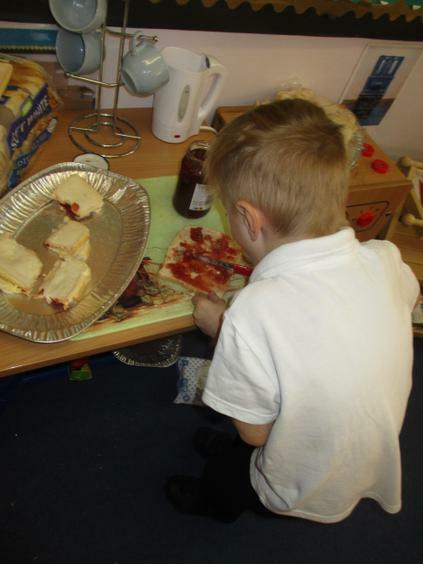 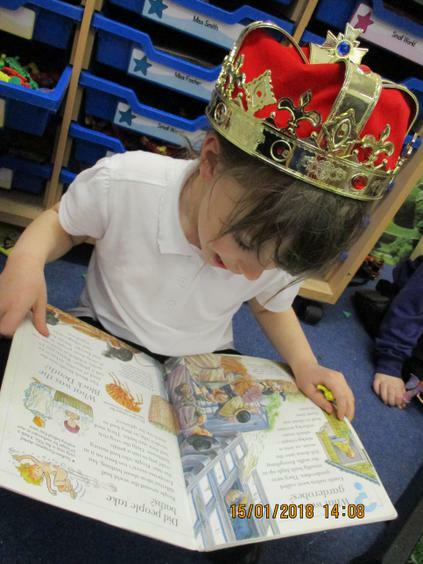 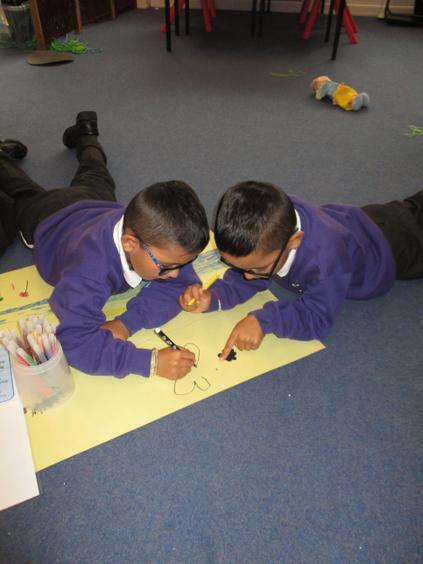 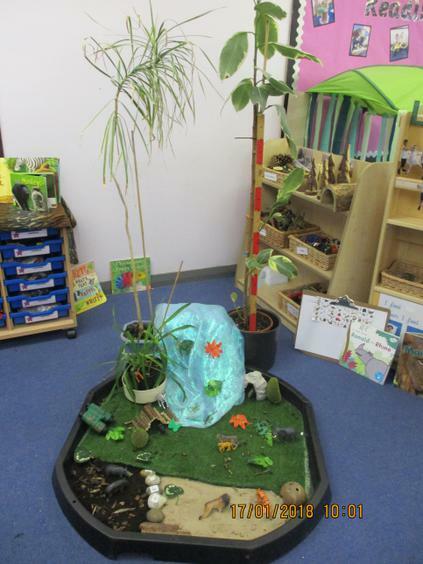 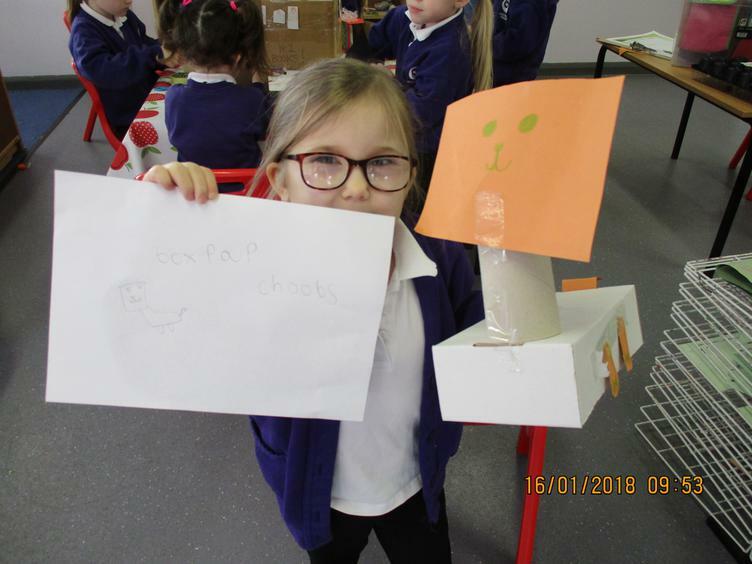 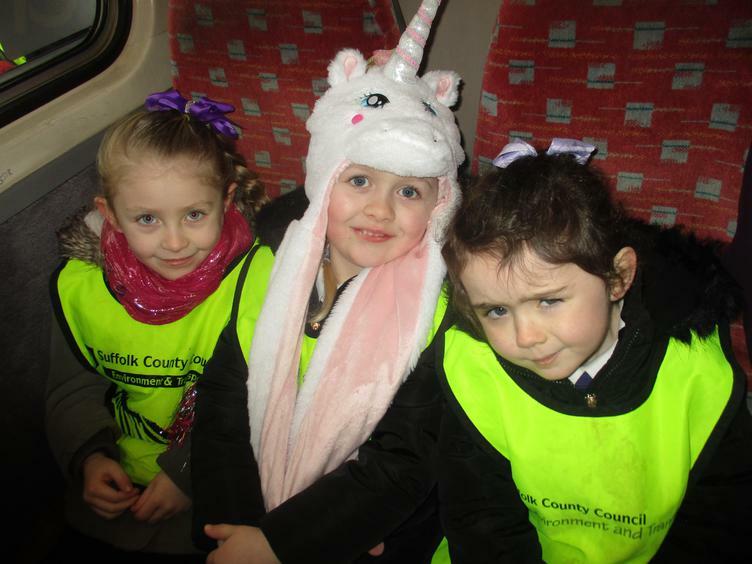 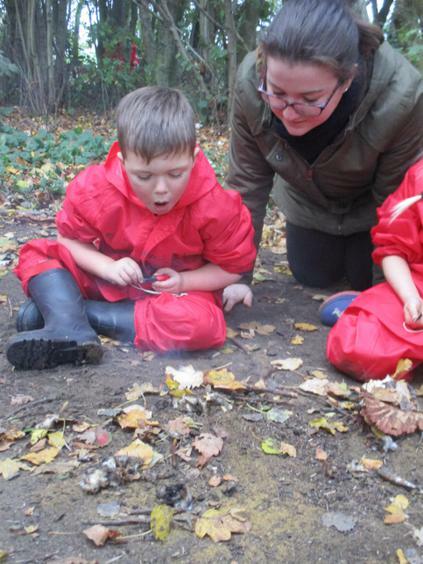 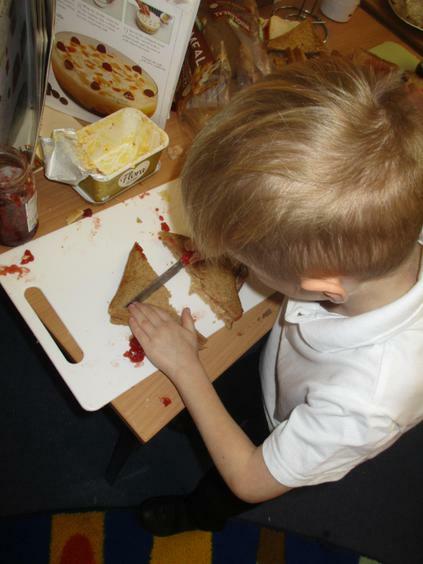 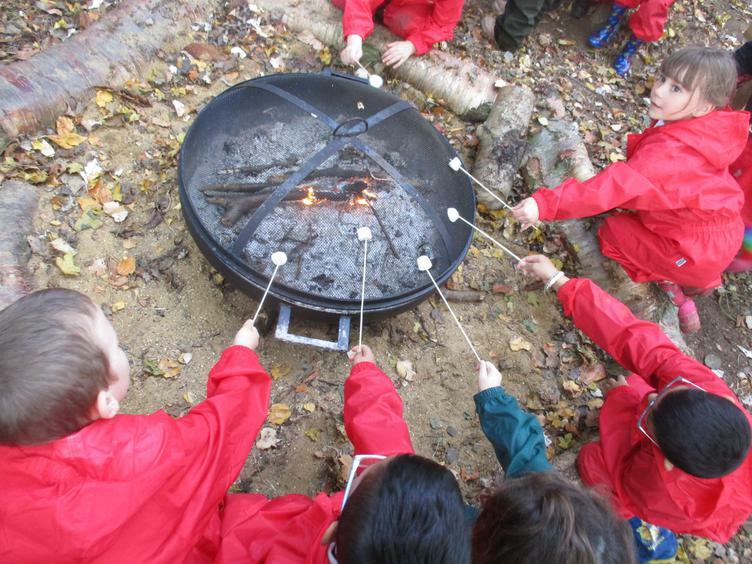 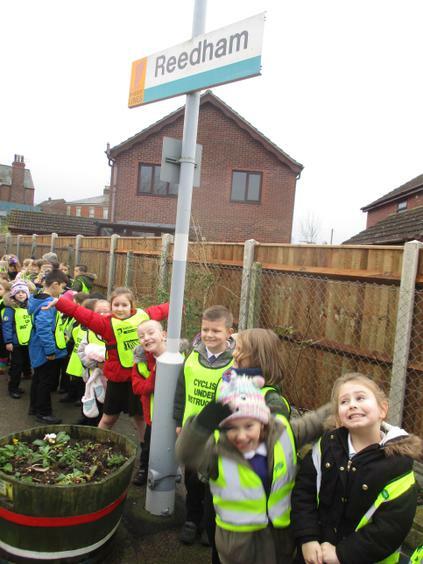 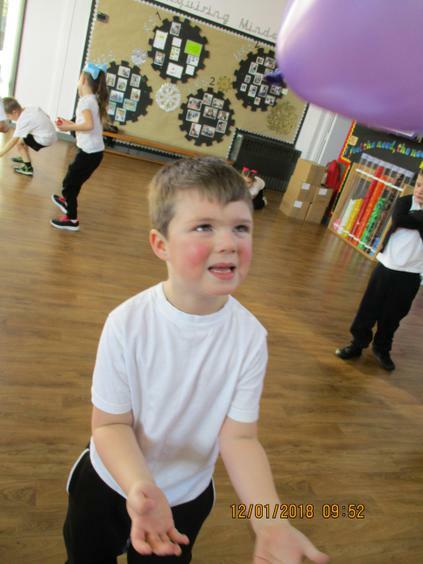 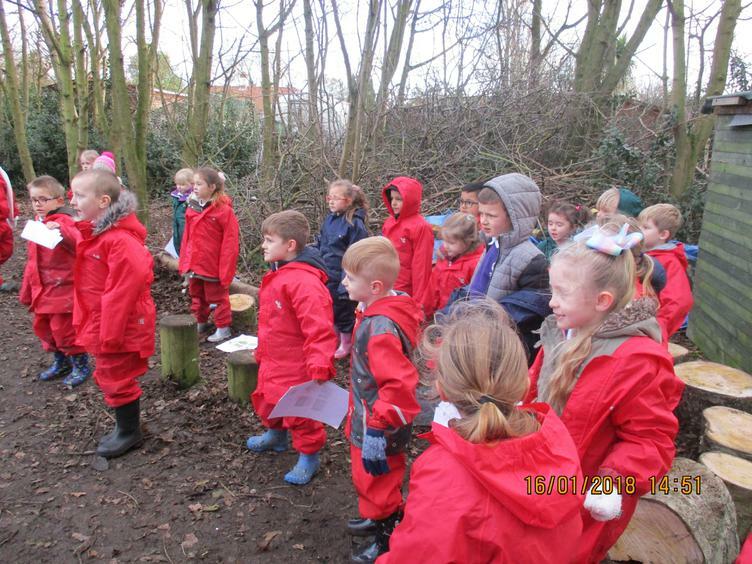 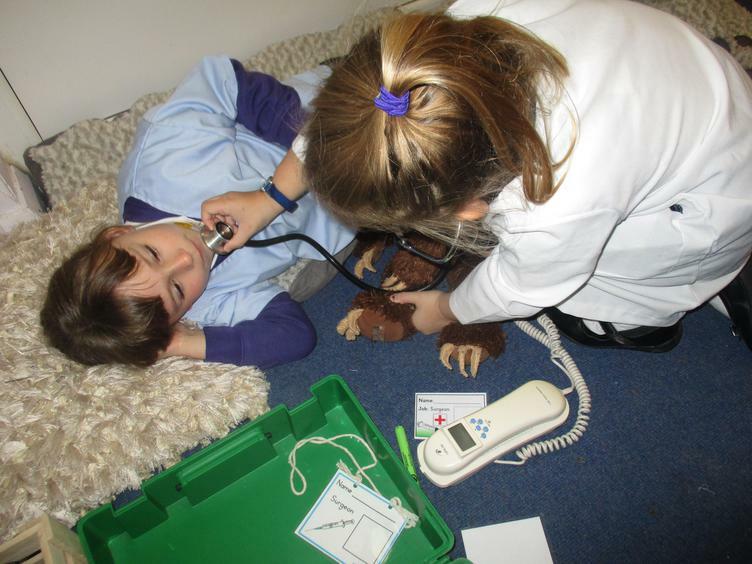 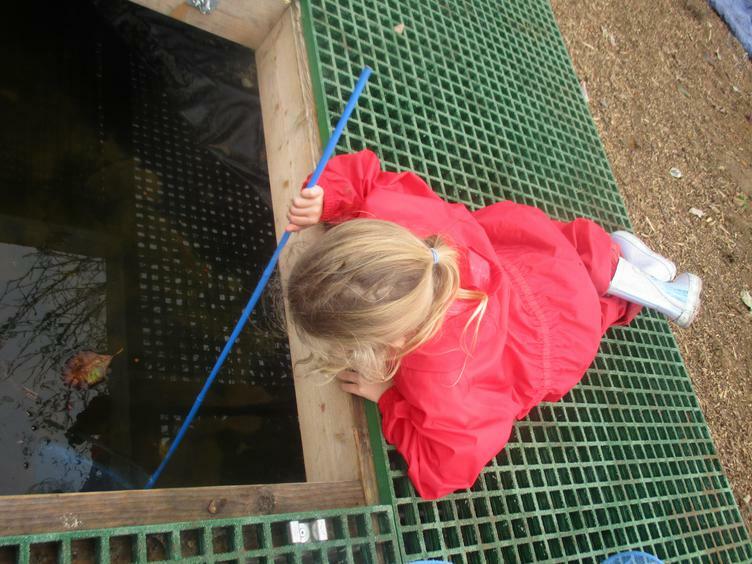 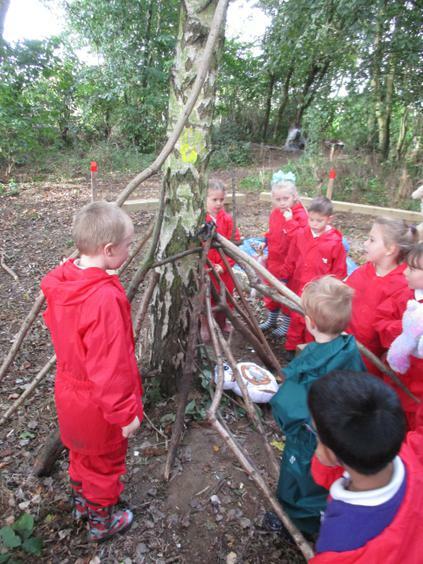 EBL follows the children’s own interests and focuses on developing a range of skills which include questioning, researching and contacting visitors. 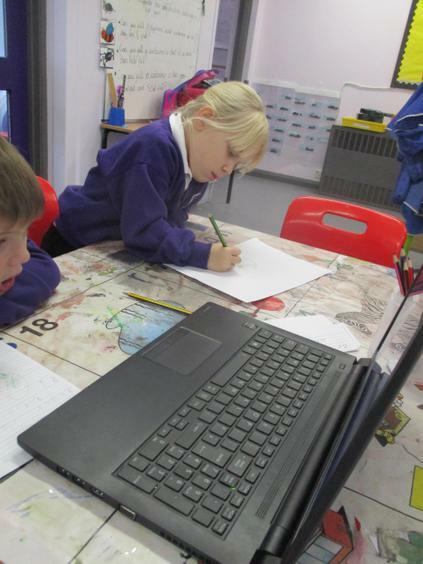 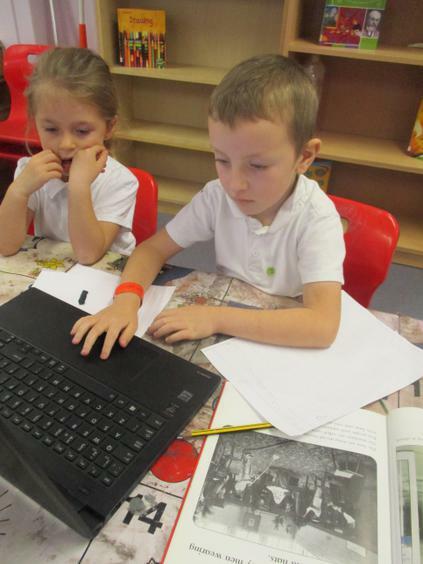 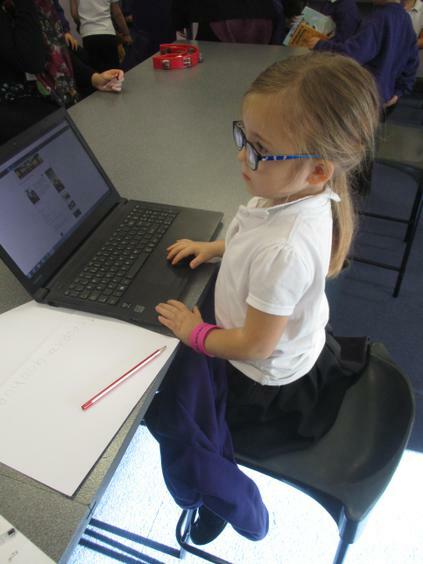 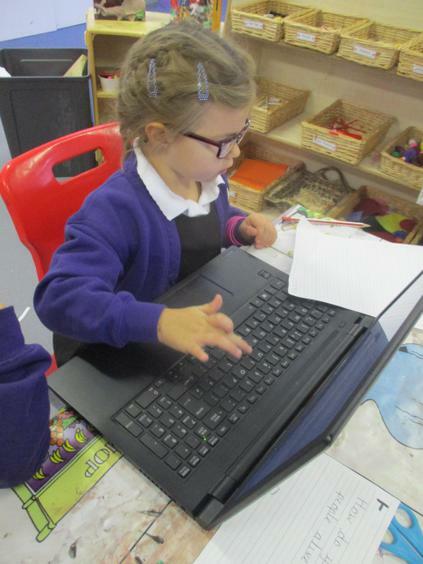 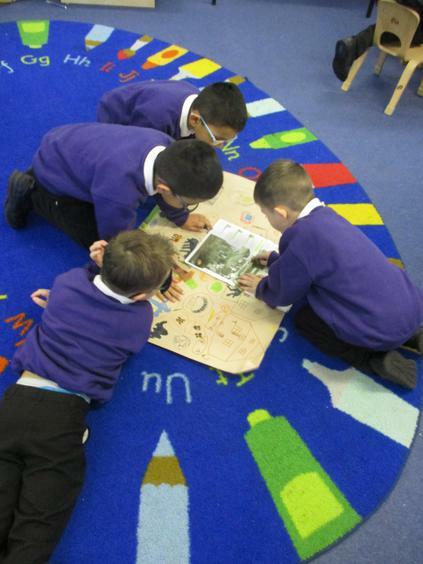 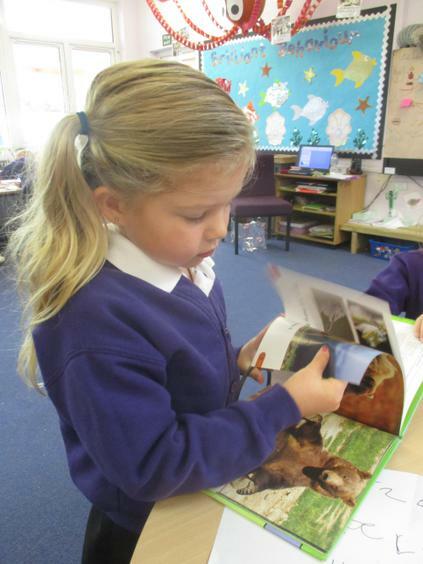 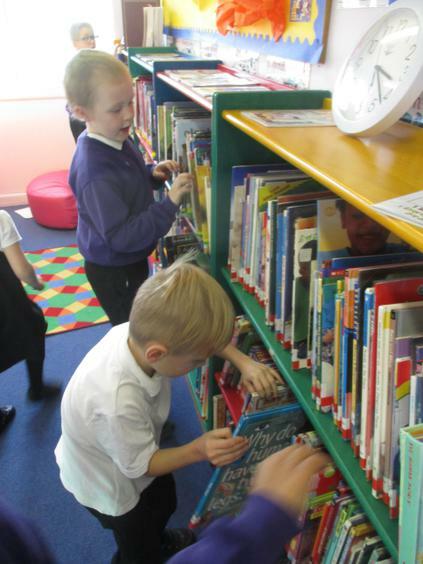 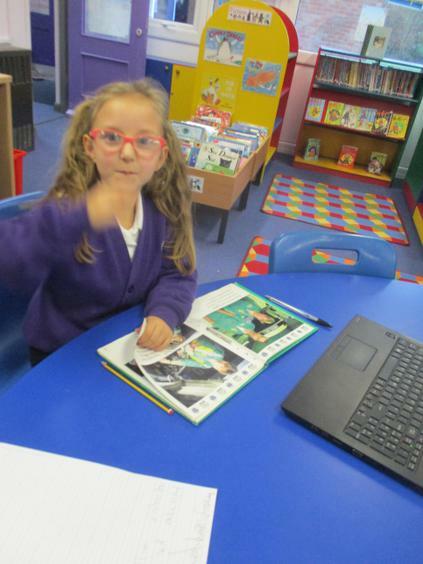 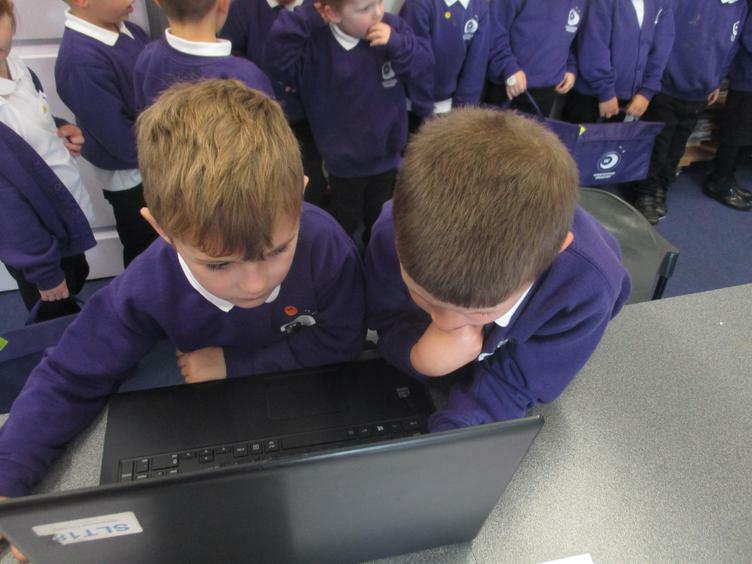 During EBL we use the library and ICT resources to find information and then record our information in a variety of ways. 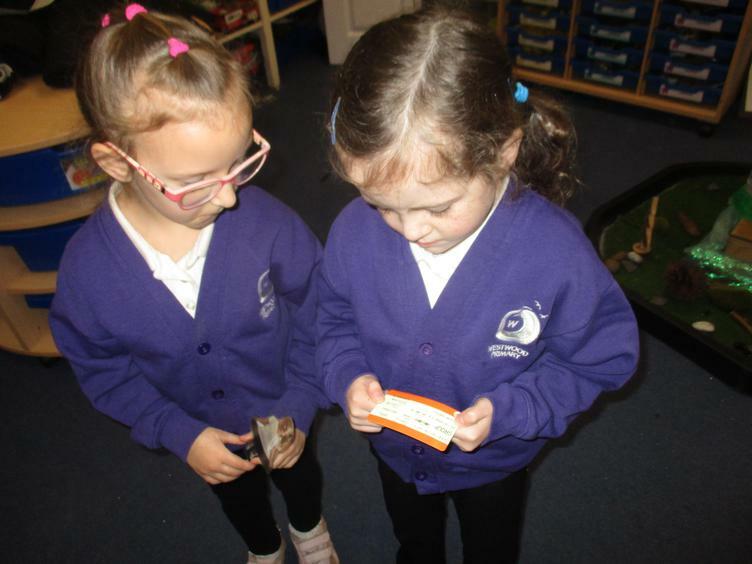 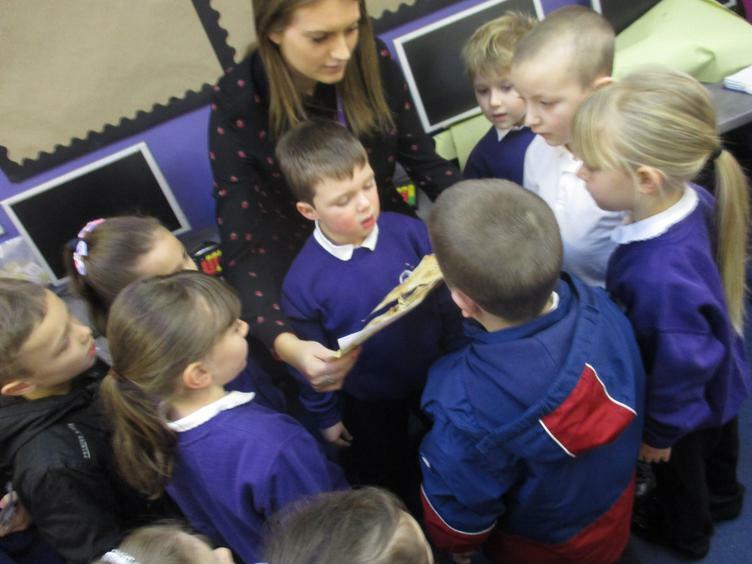 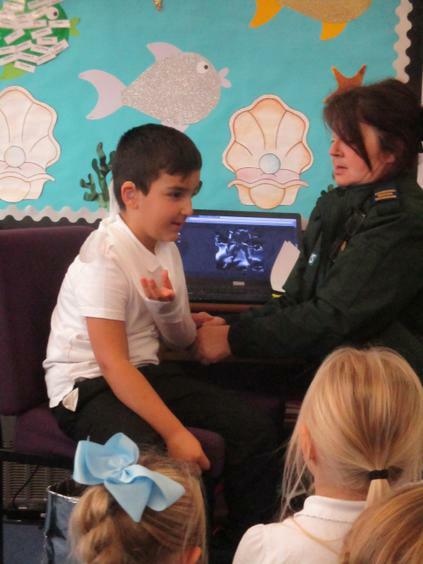 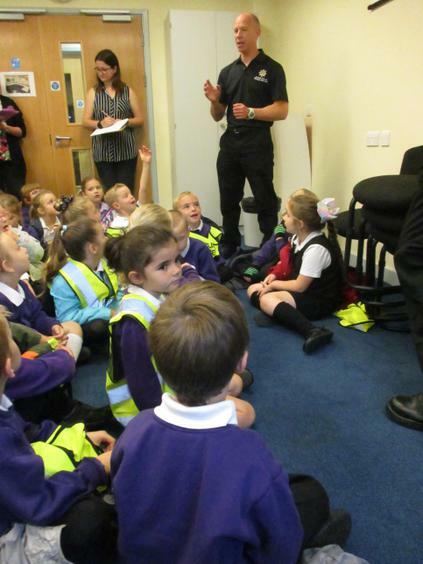 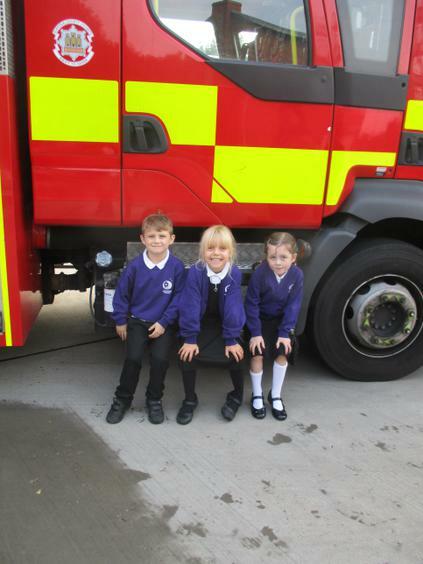 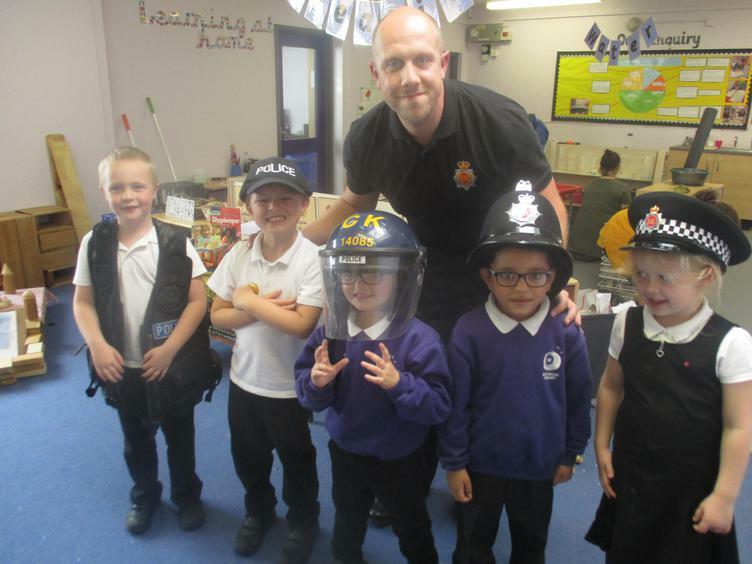 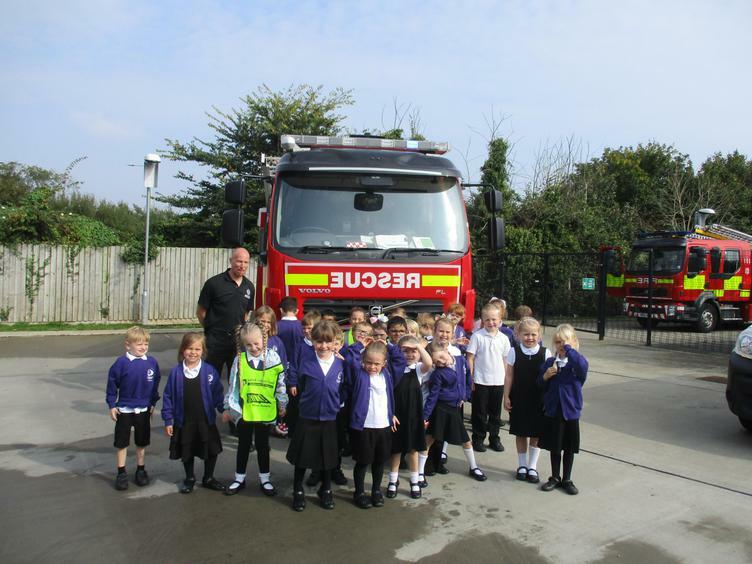 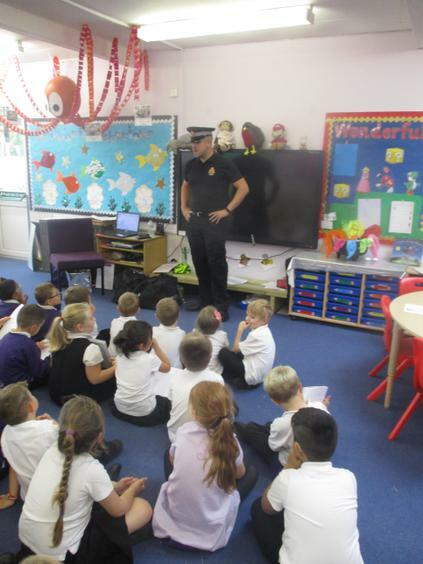 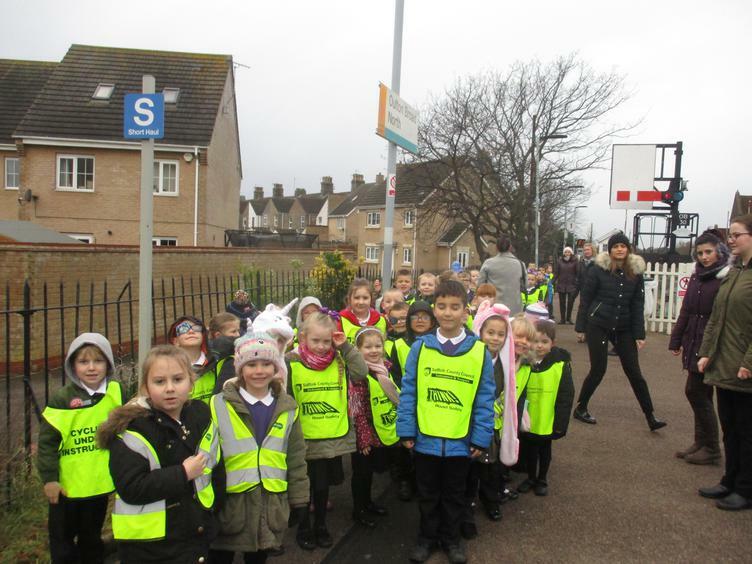 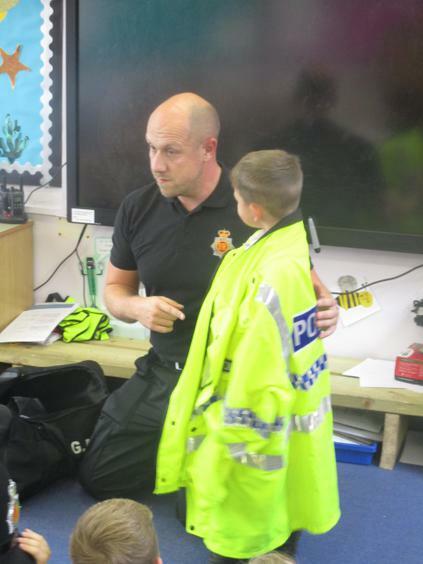 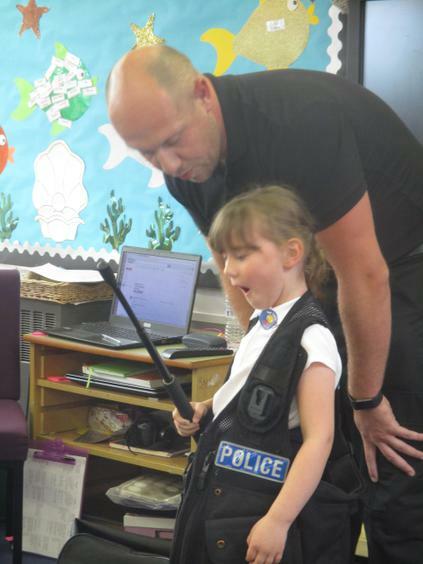 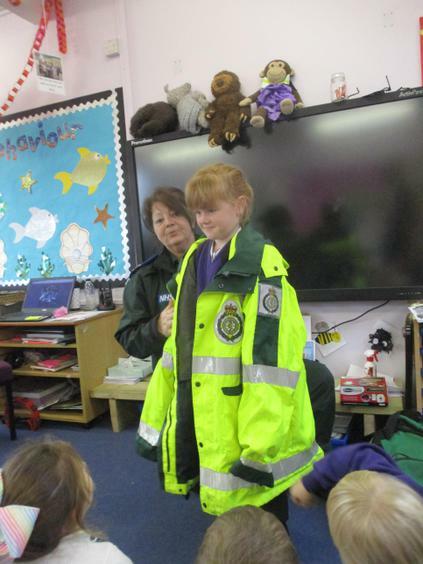 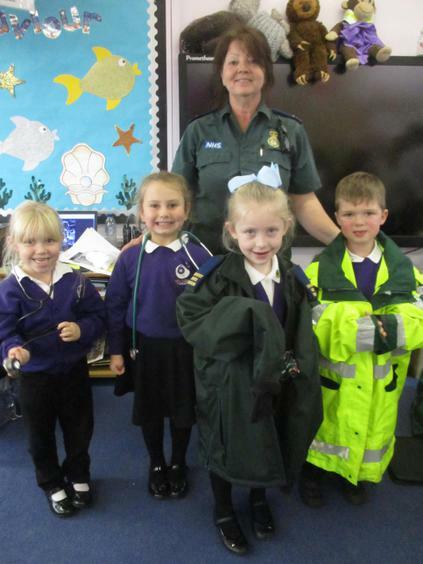 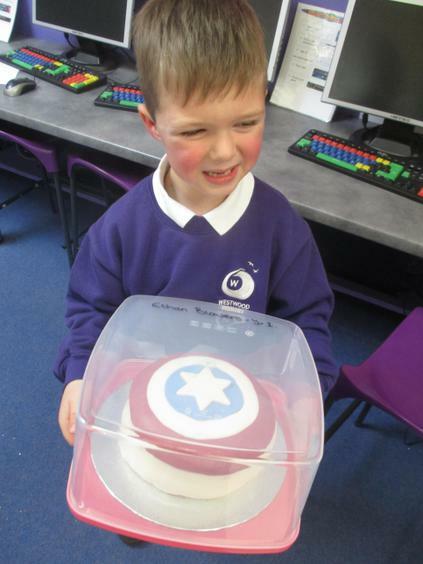 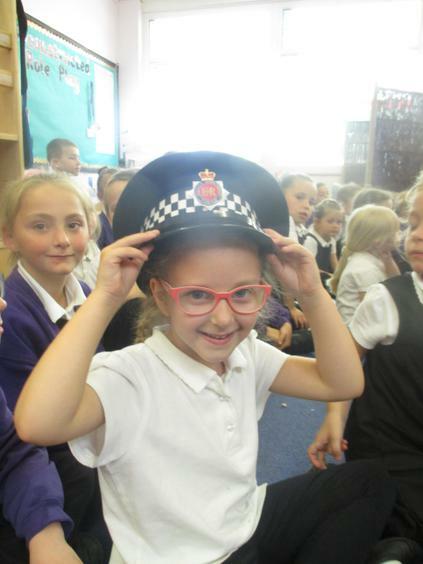 As part of EBL we are privileged to go on trips and have visitors come into school to visit us. 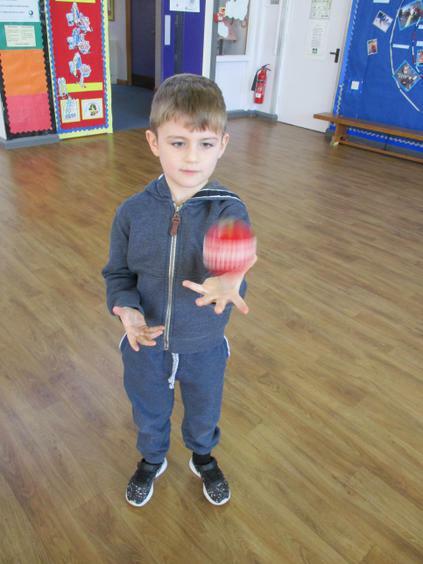 On Friday mornings the children are privileged to have Cricket lessons delivered by a specialist coach. 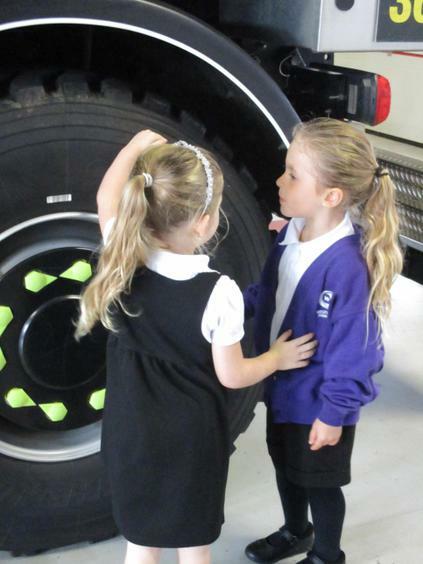 Please ensure that your child has appropriate PE kit and footwear. 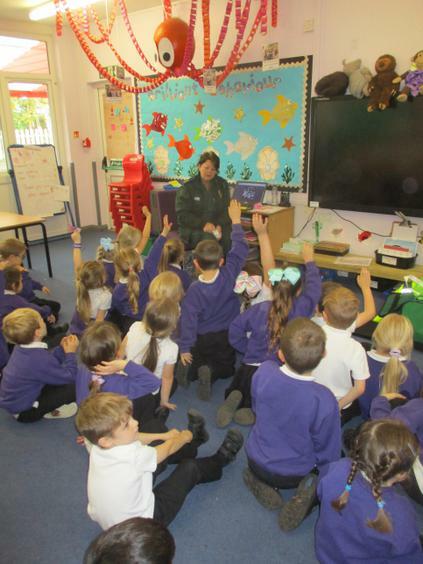 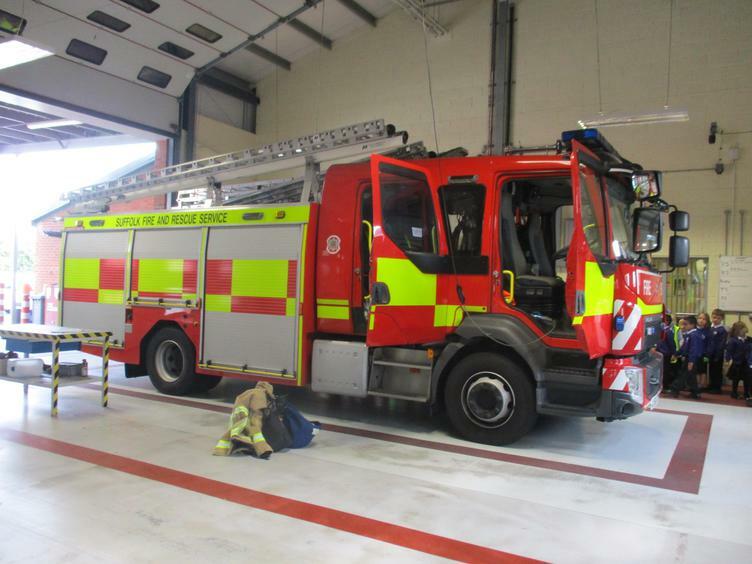 If you have any questions, exciting news or concerns, the Year 1 team are always available to speak to you.